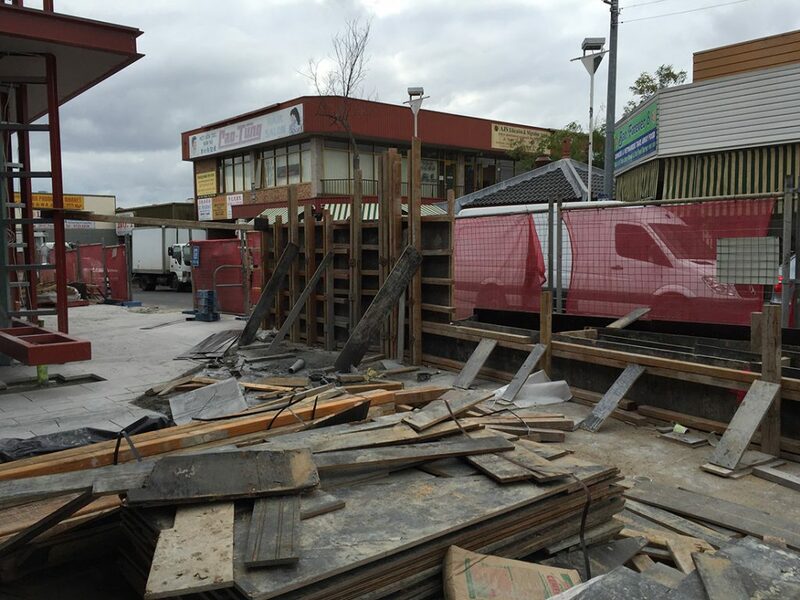 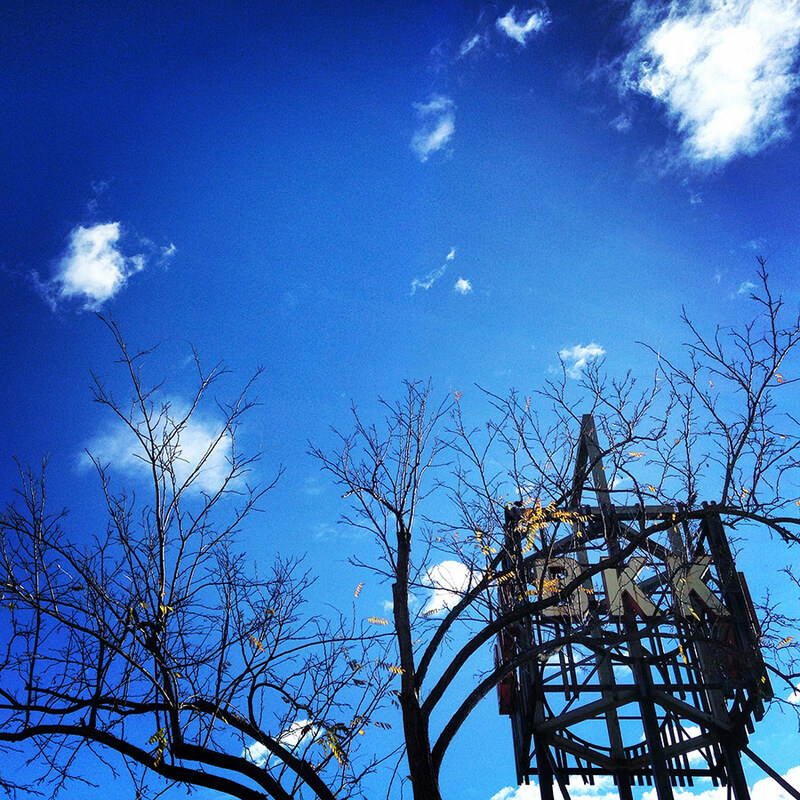 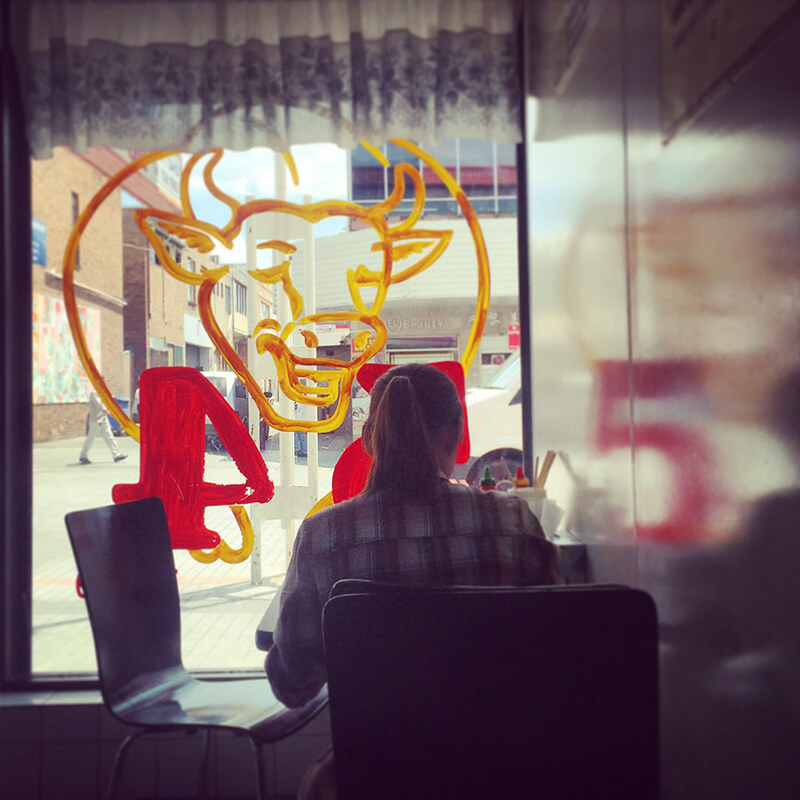 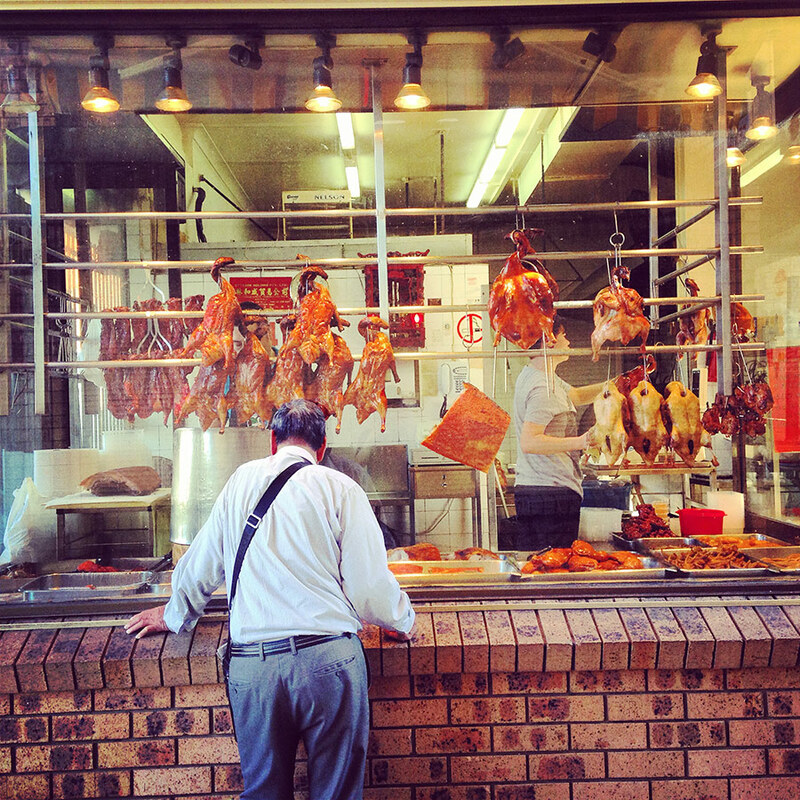 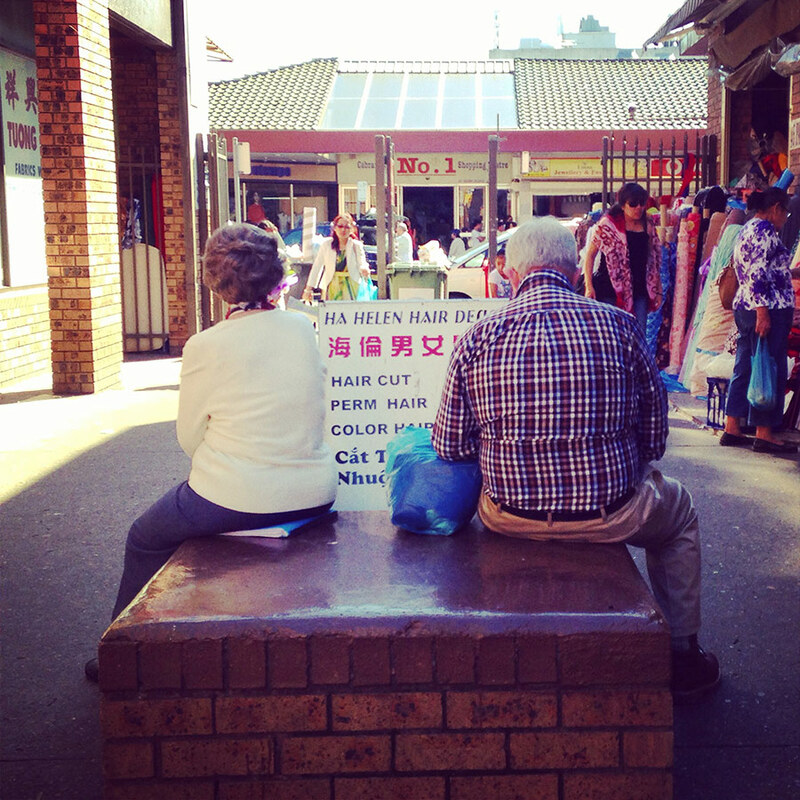 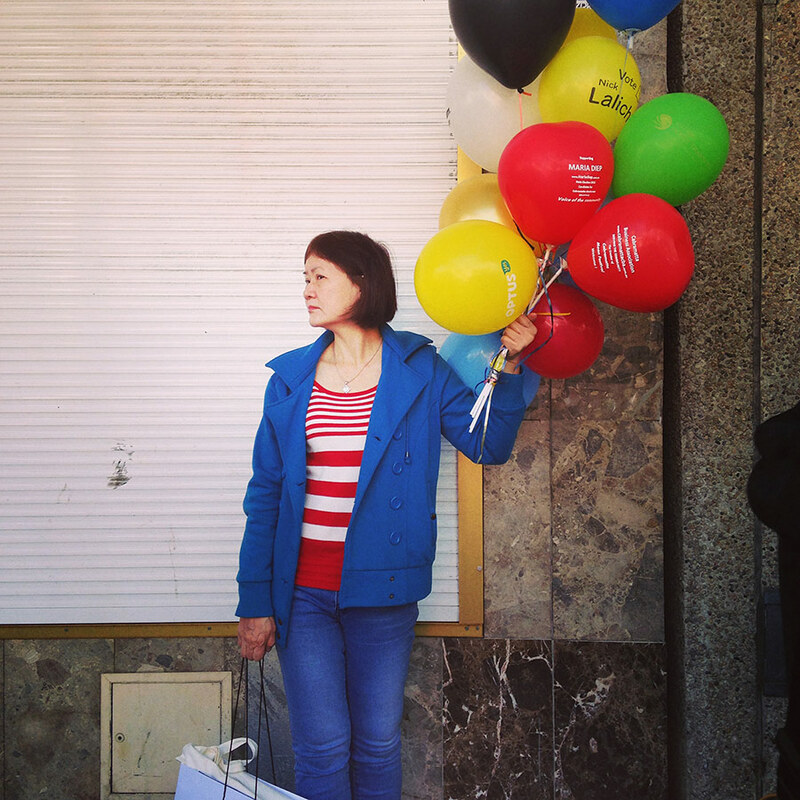 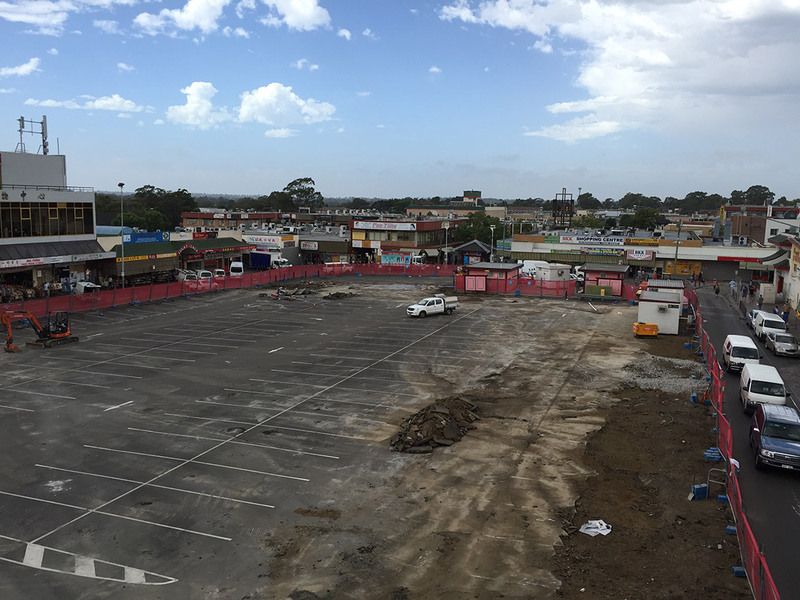 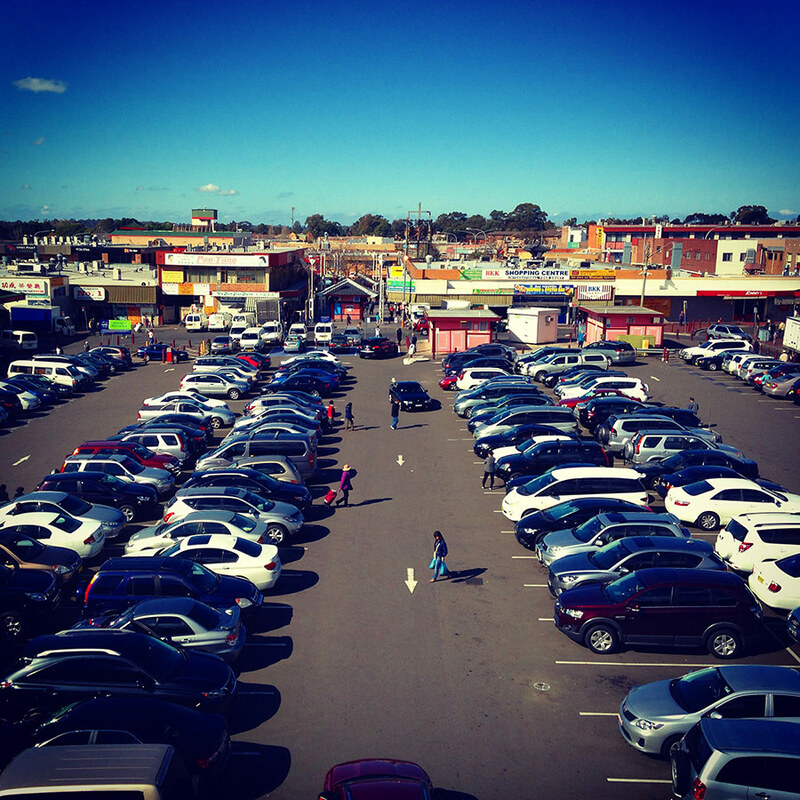 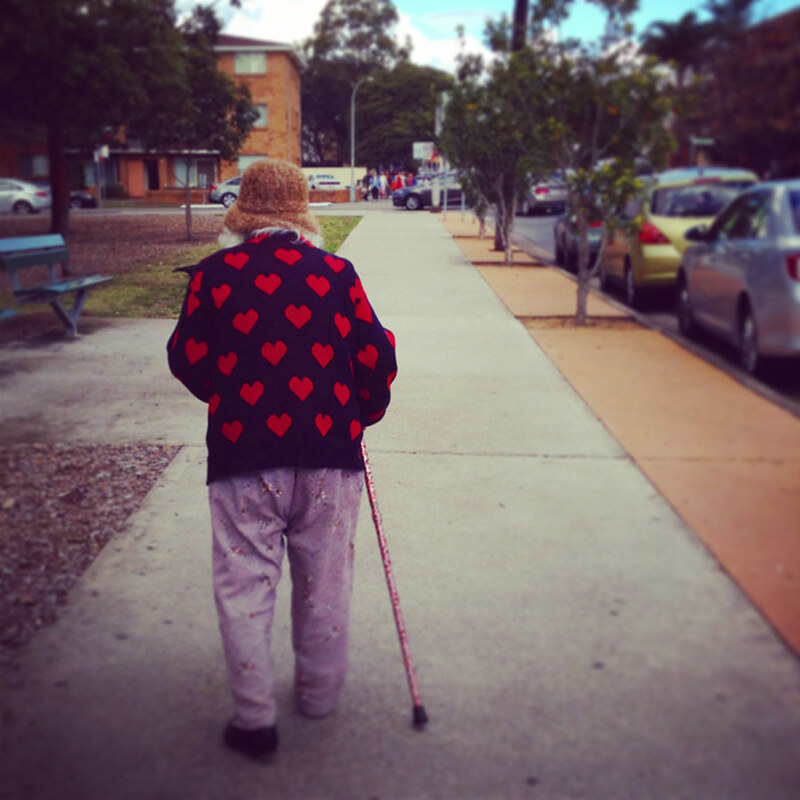 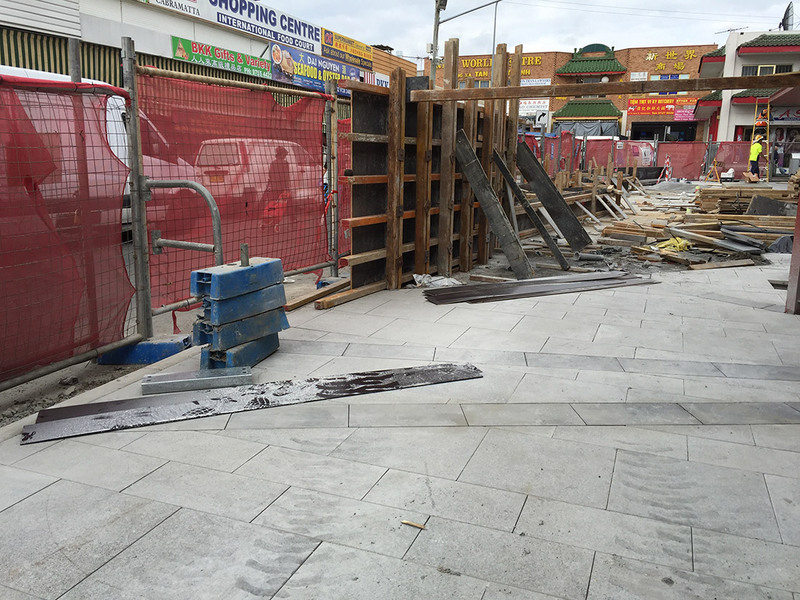 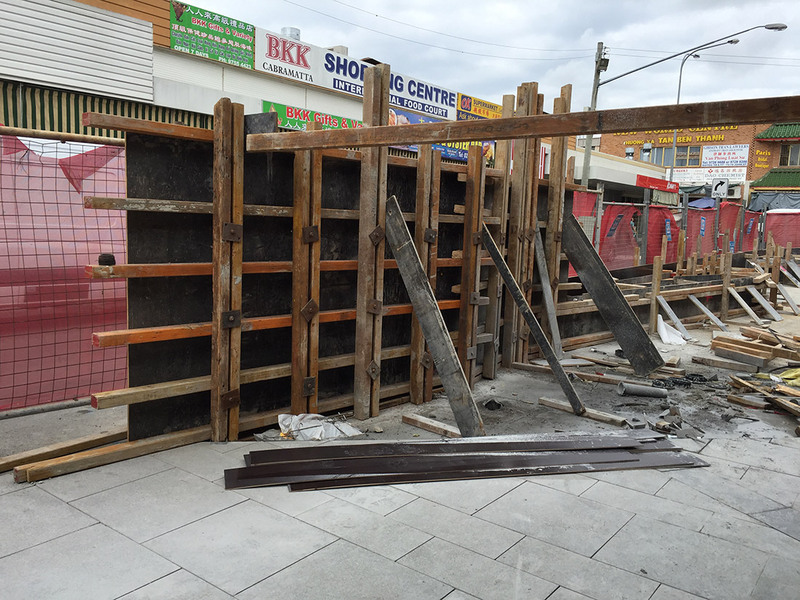 The story of Cabramatta is still unfolding. 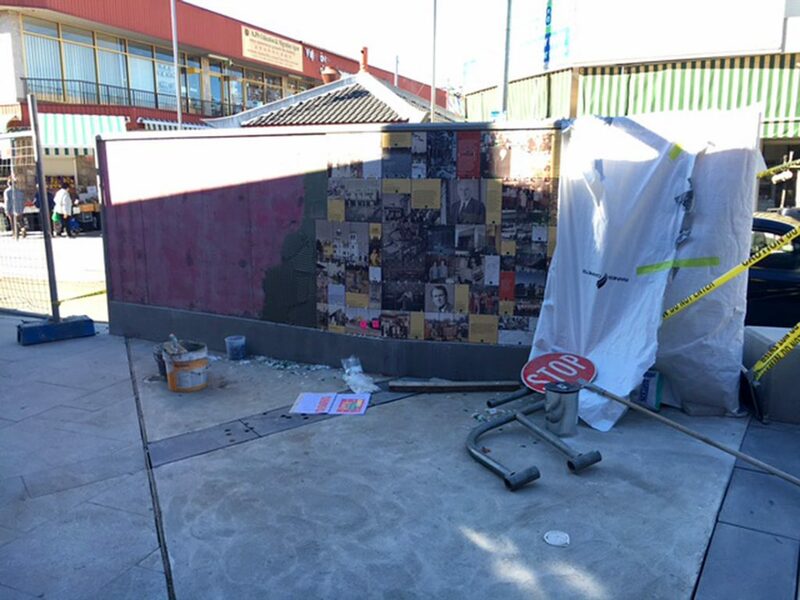 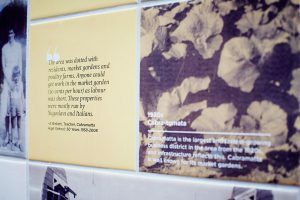 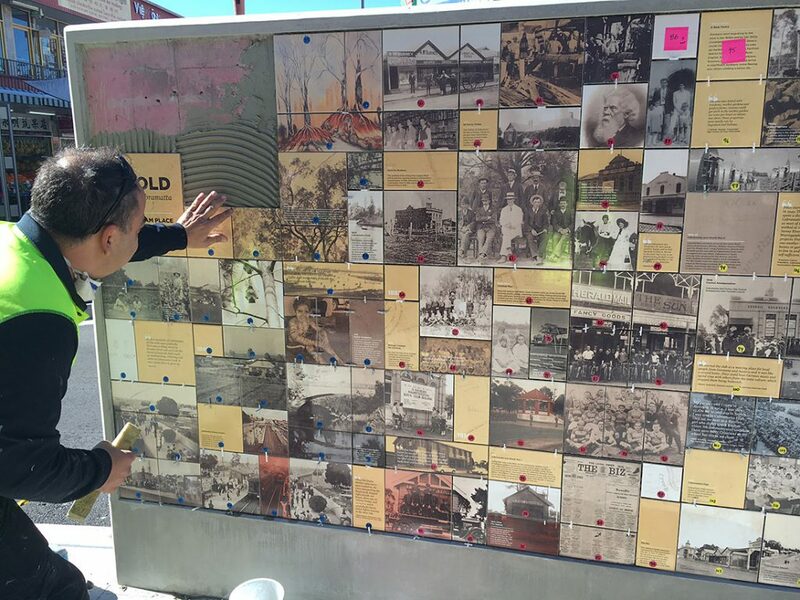 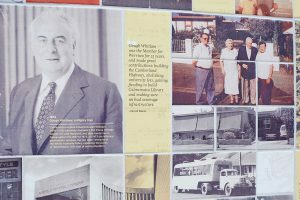 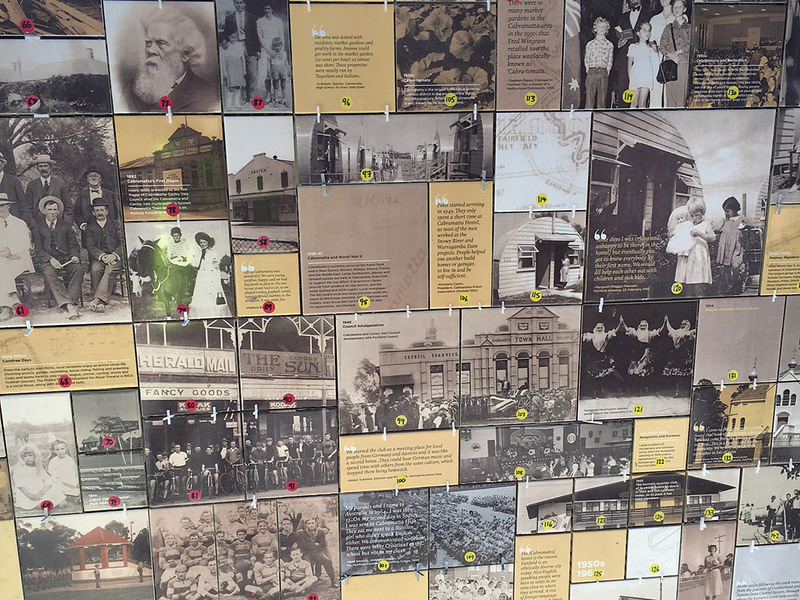 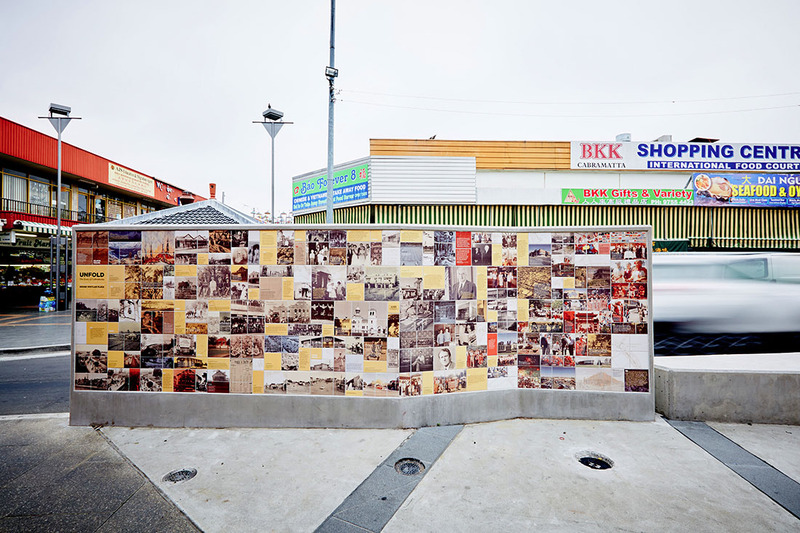 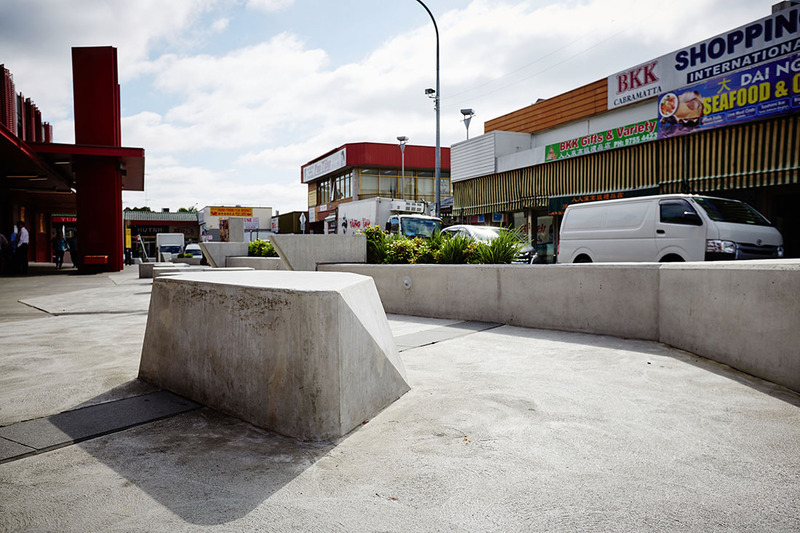 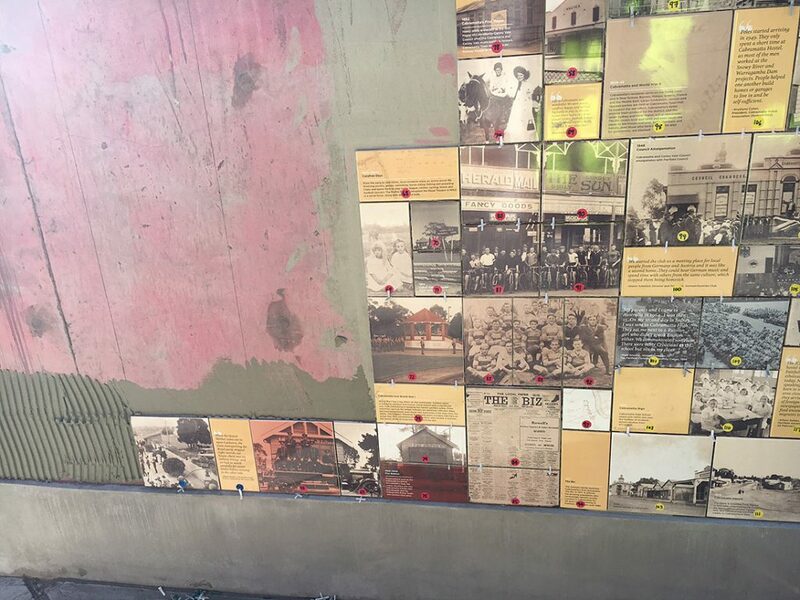 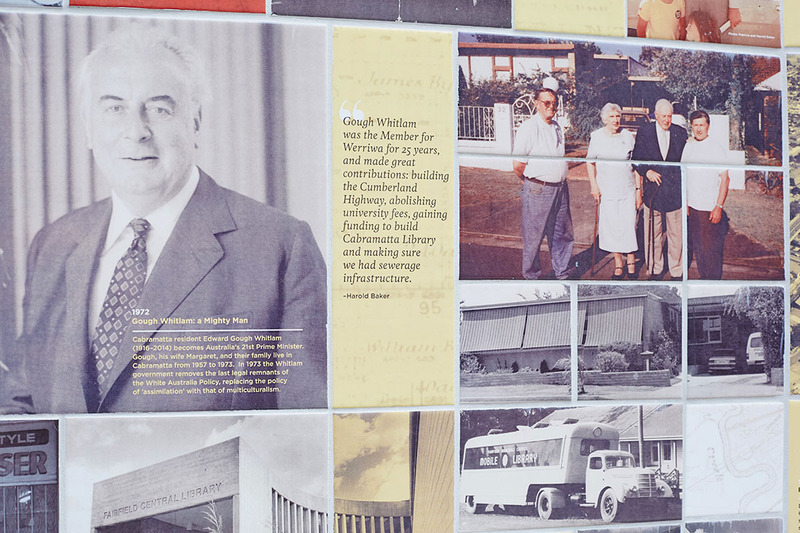 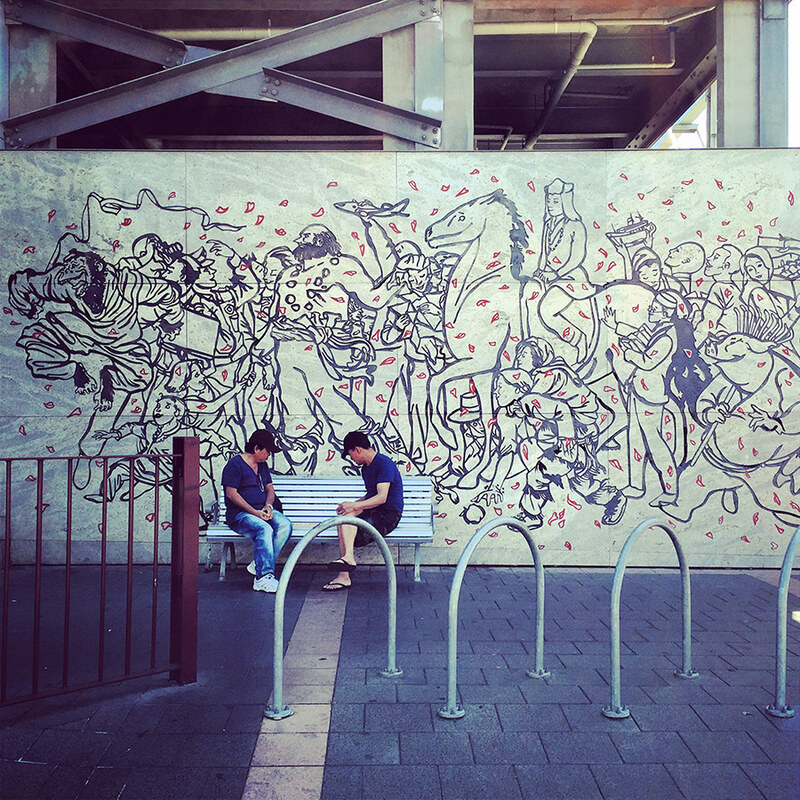 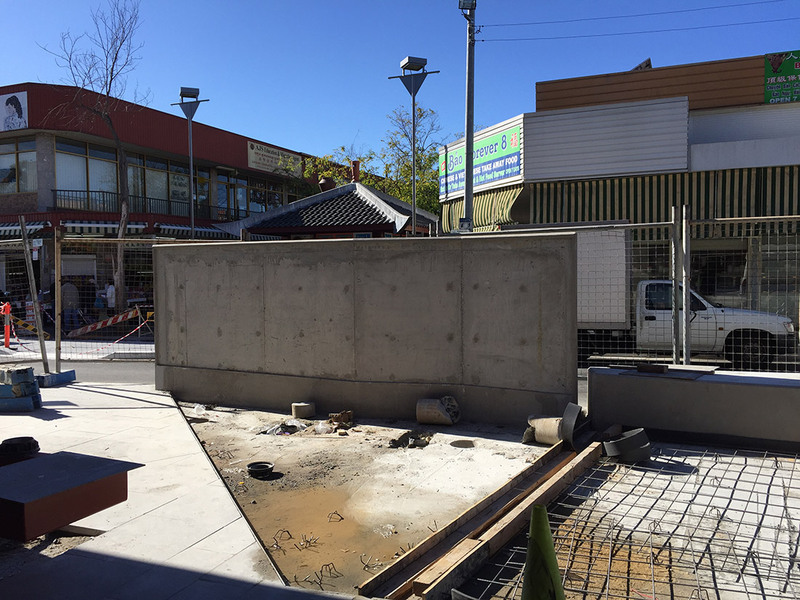 The Story of Cabramatta public art wall highlights significant events that have helped shape Cabramatta. 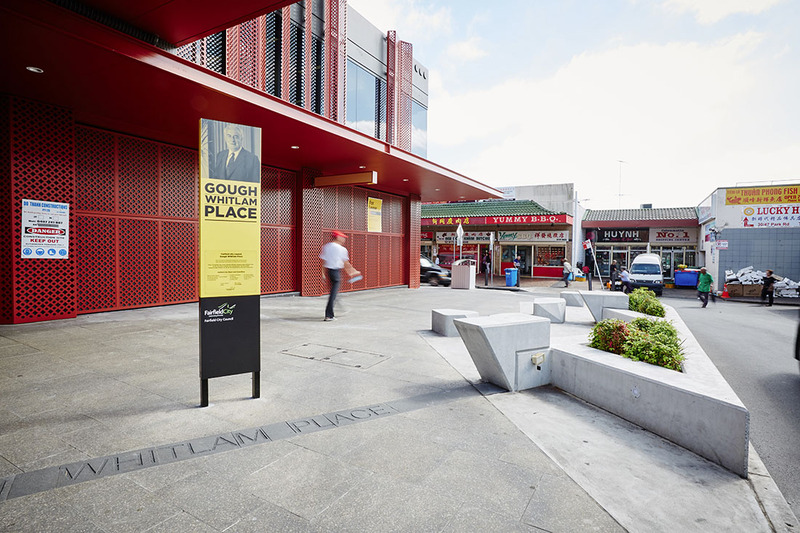 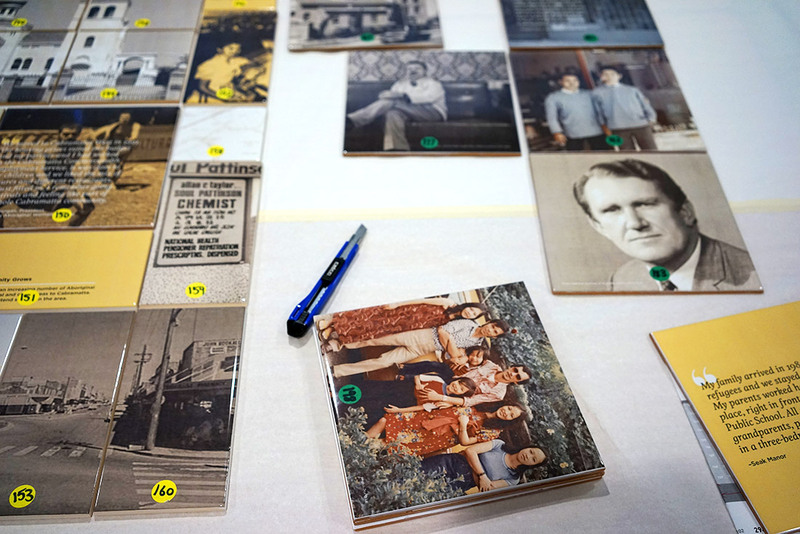 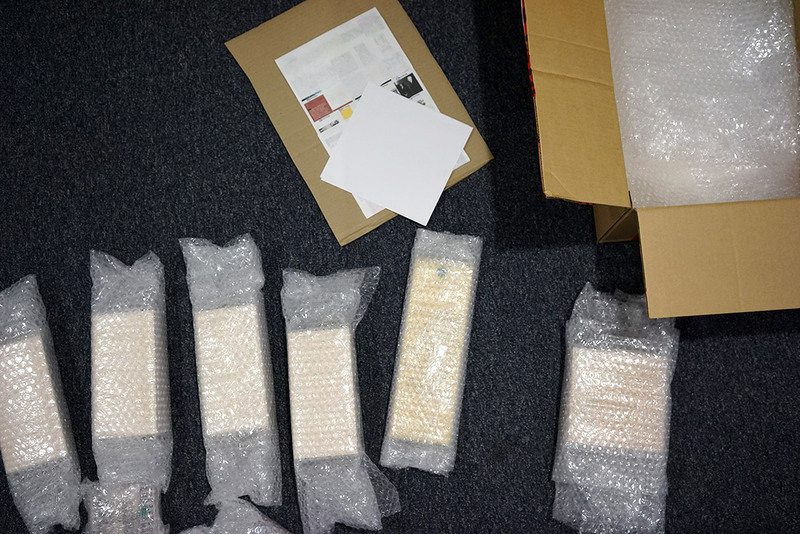 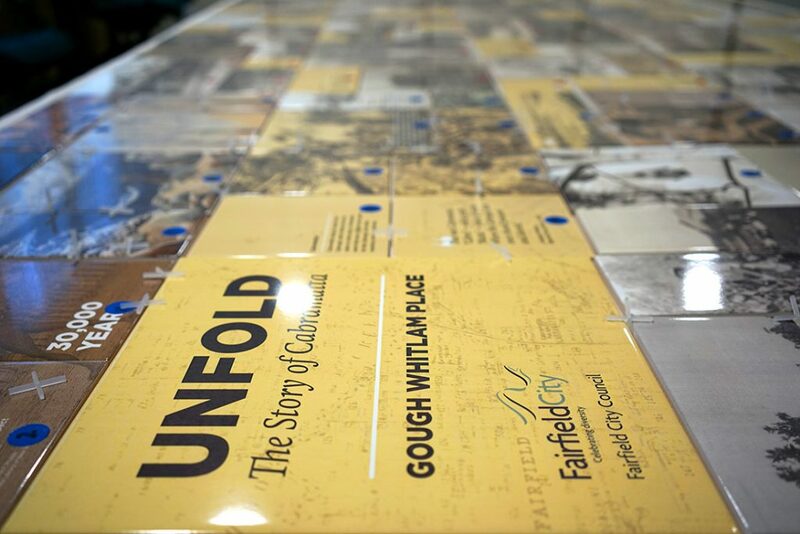 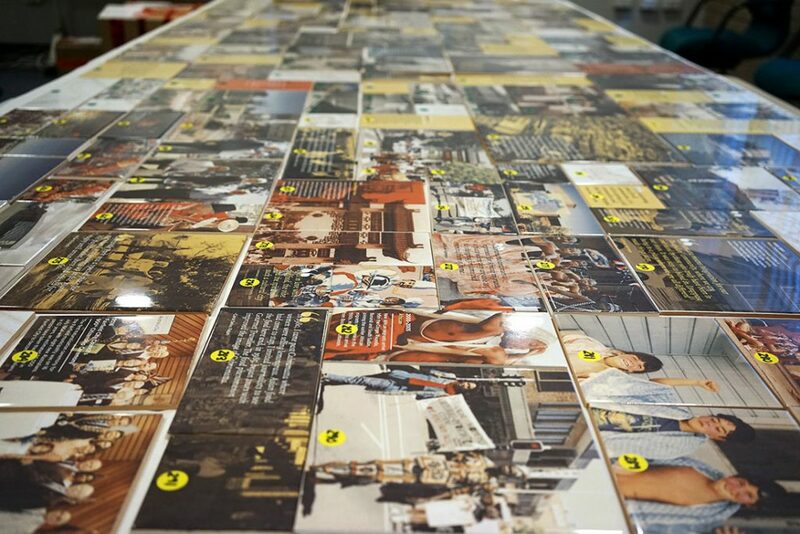 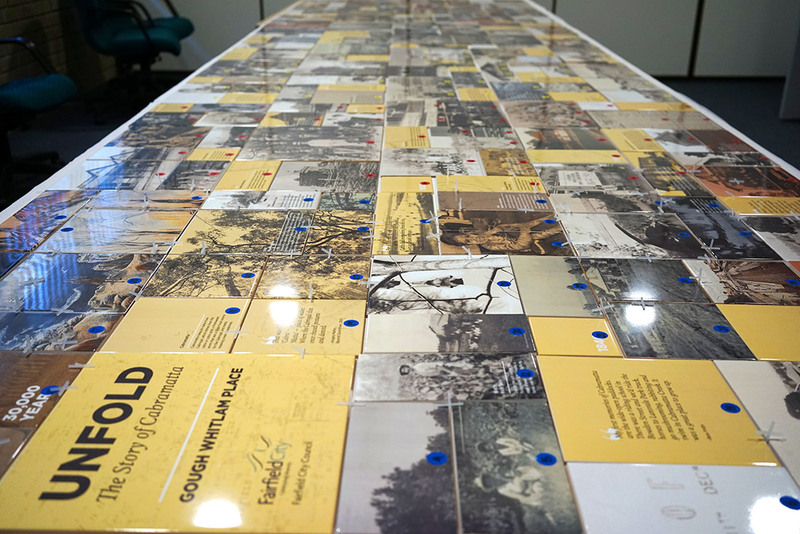 It includes text and historic photos from the Local Studies Collection to present a visual storytelling of Cabramatta to encourage a shared civic appreciation of how the area has developed over the centuries and decades. 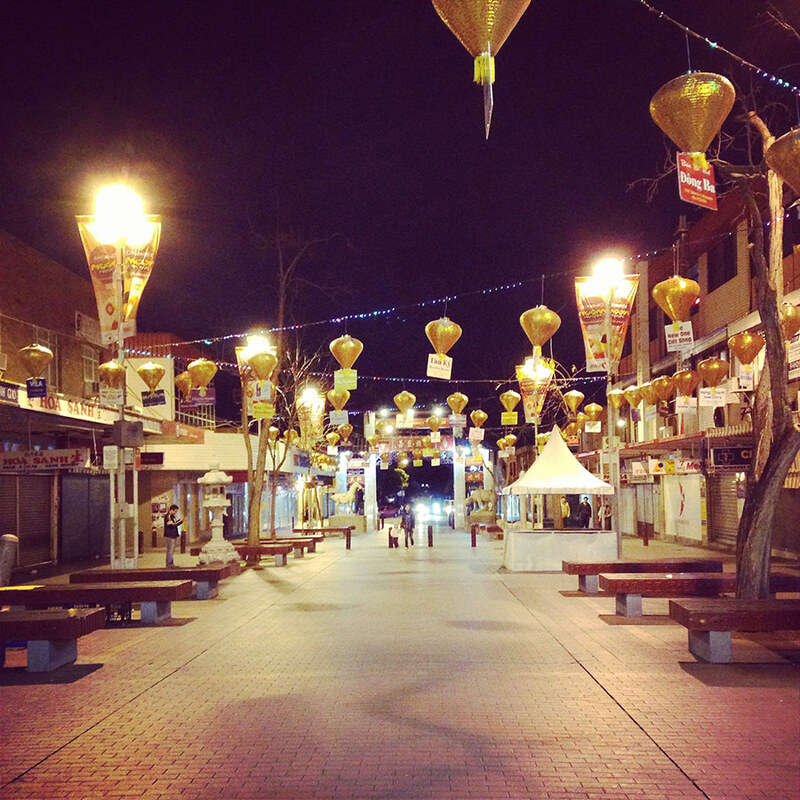 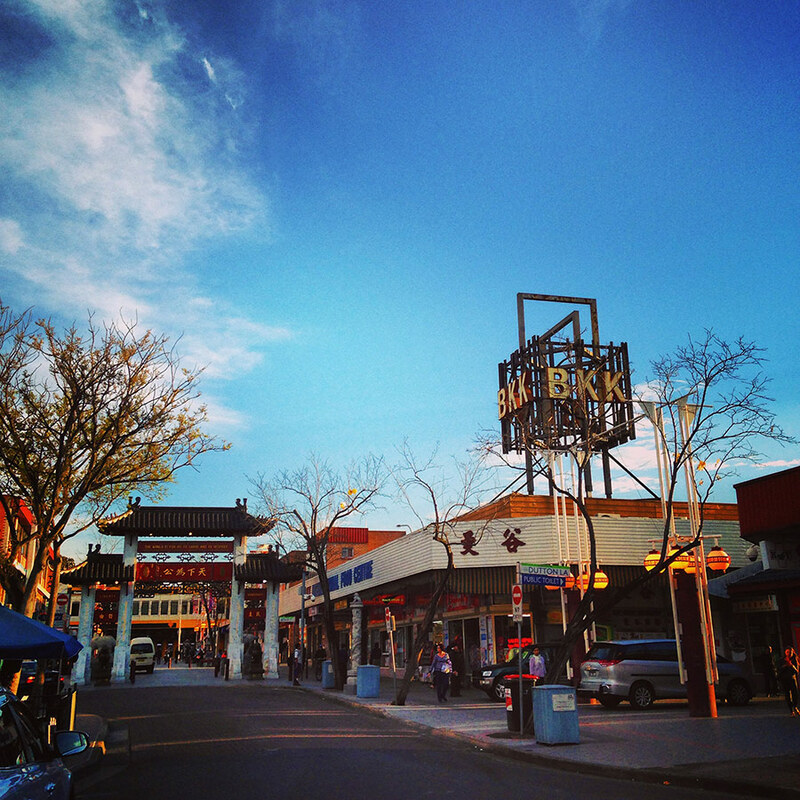 Cabramatta is Australia’s most multicultural postcode. 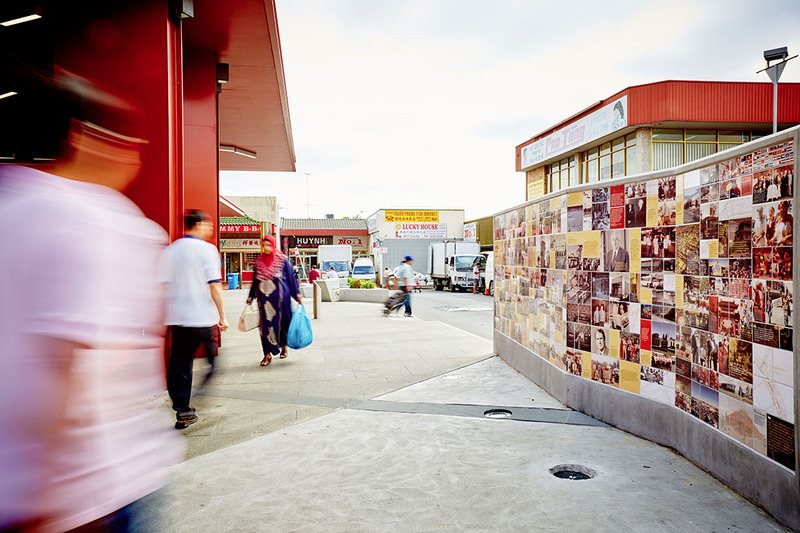 Nearly three quarters (70%) of the population was born overseas, and 8 out of 10 Cabramatta residents speak more than one language. 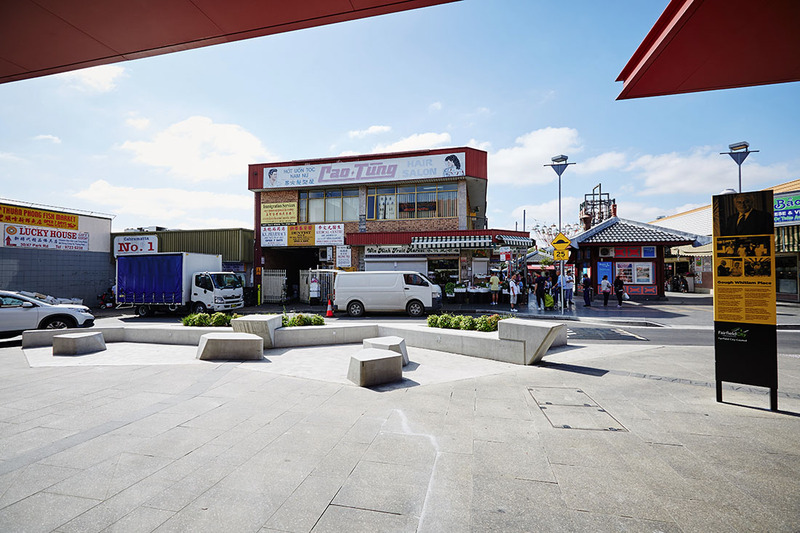 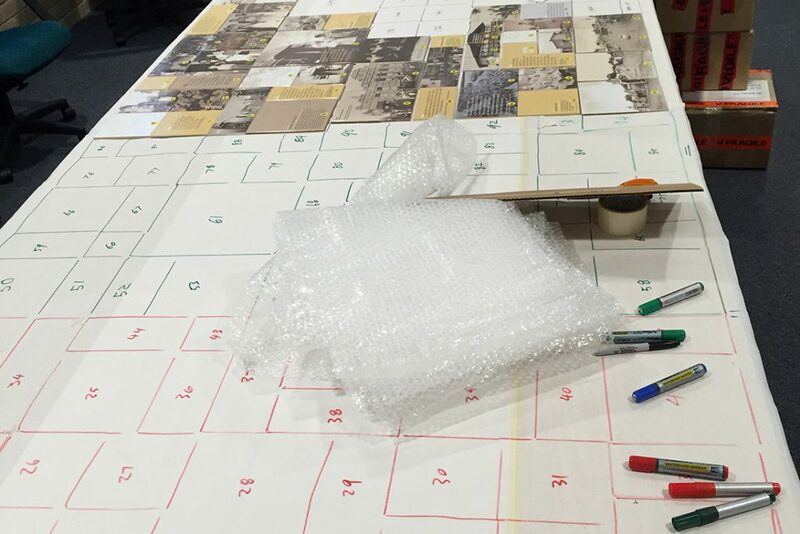 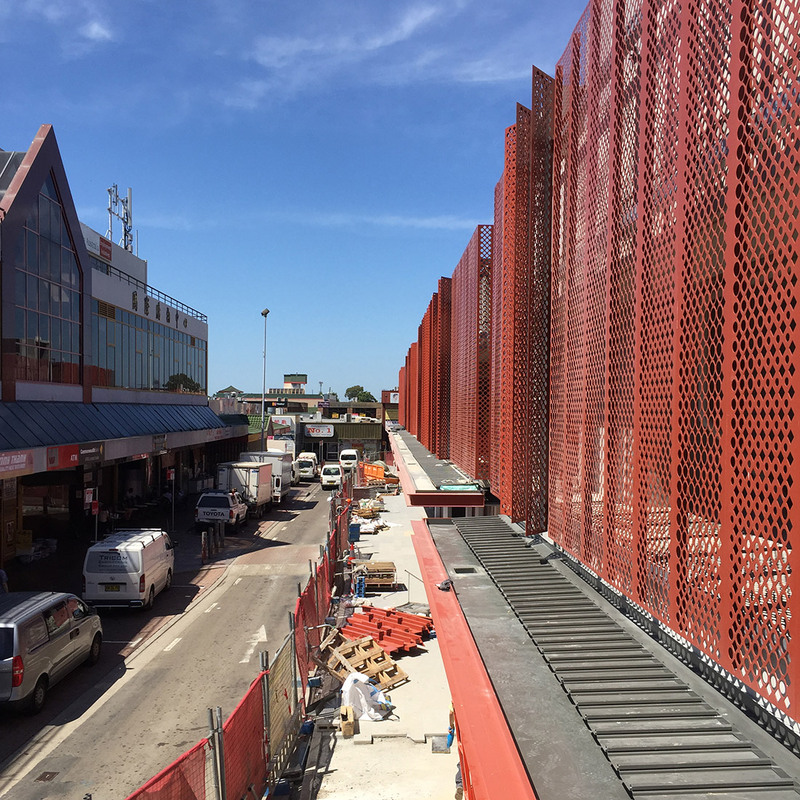 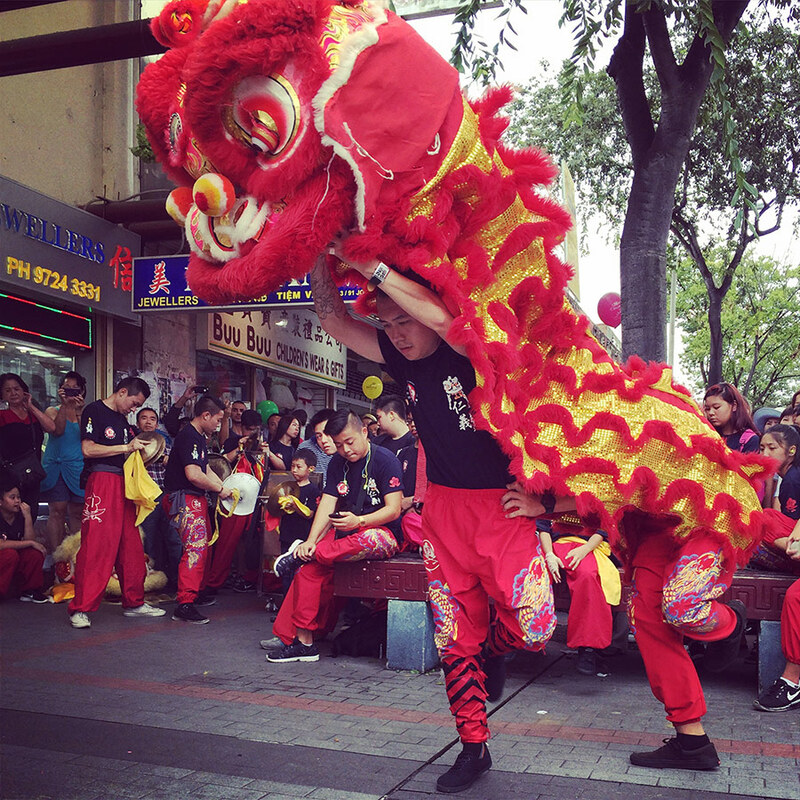 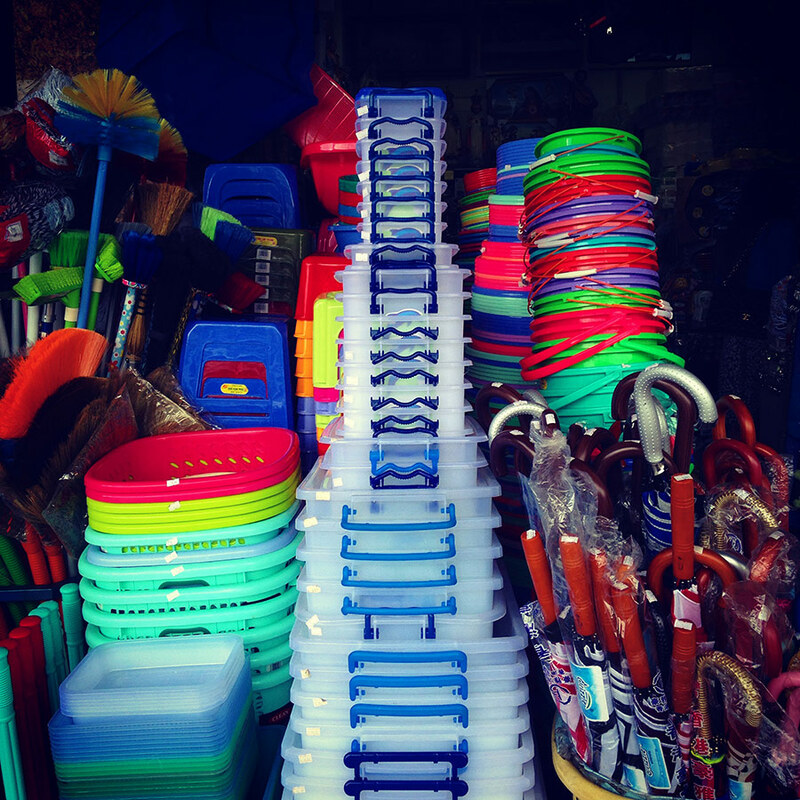 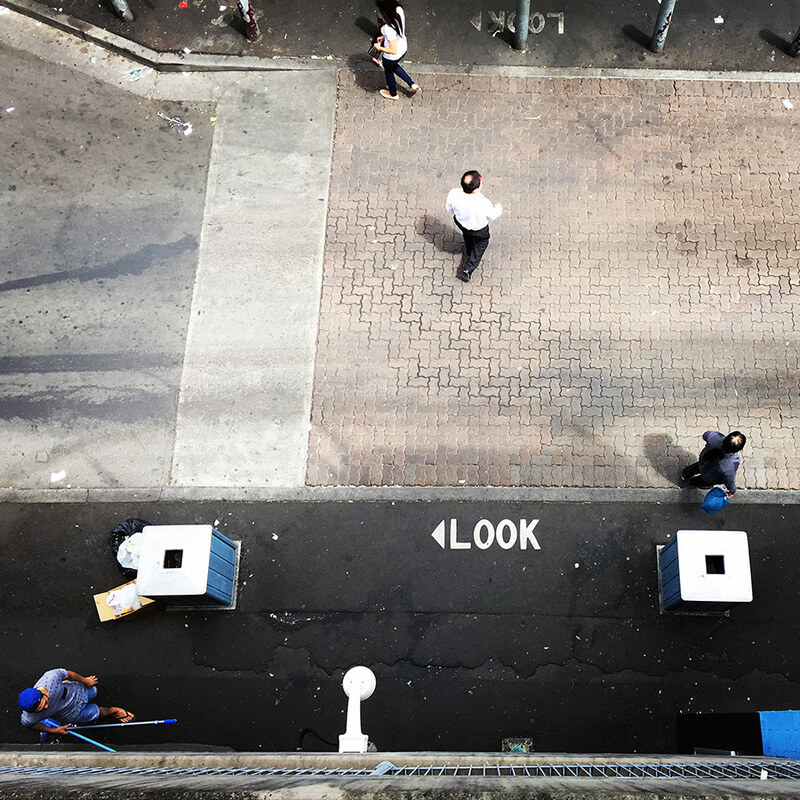 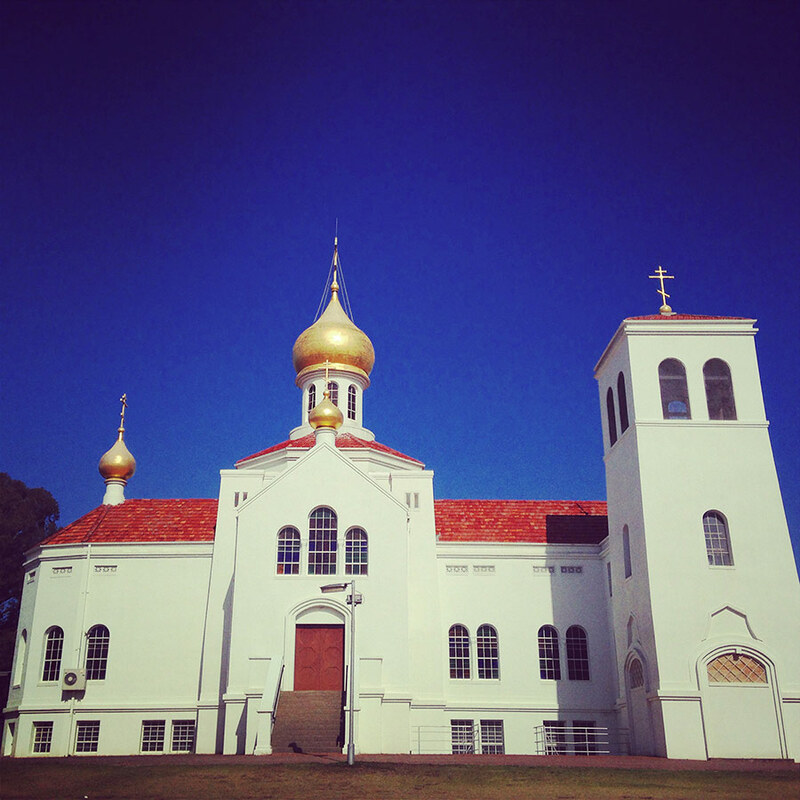 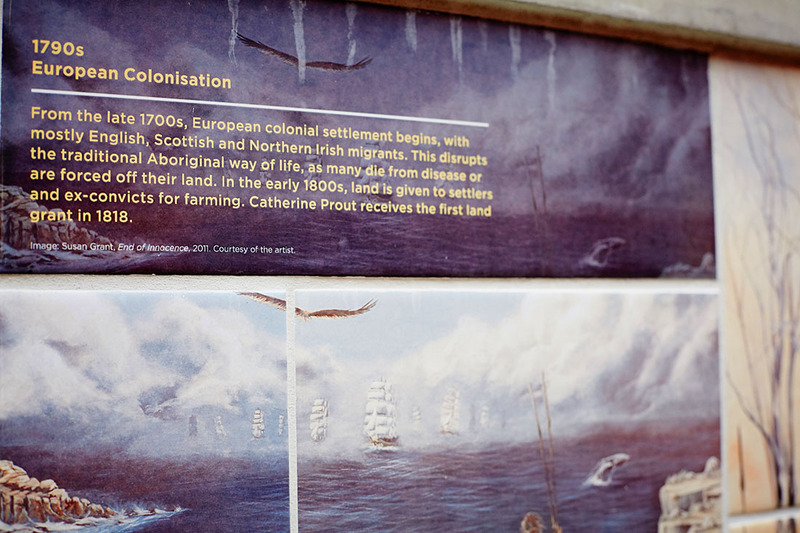 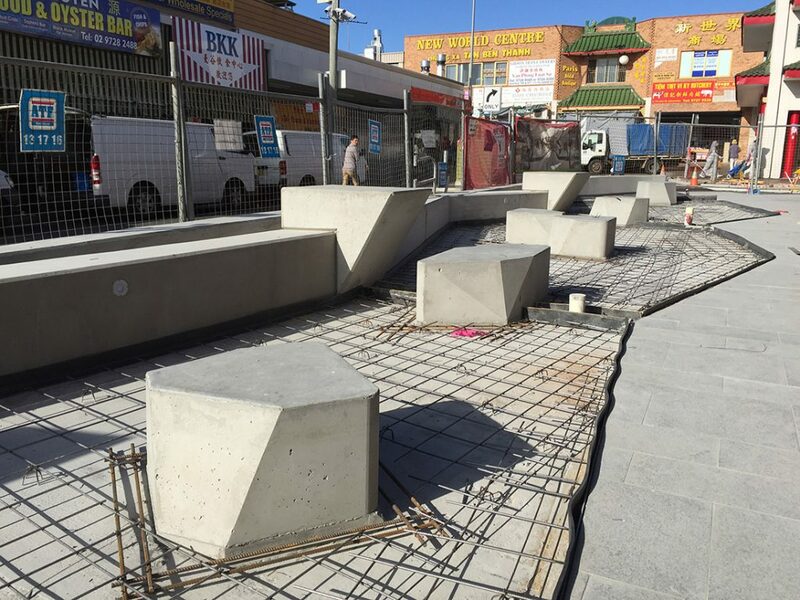 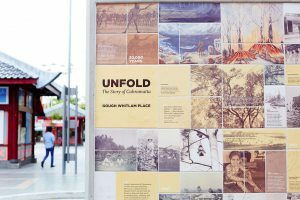 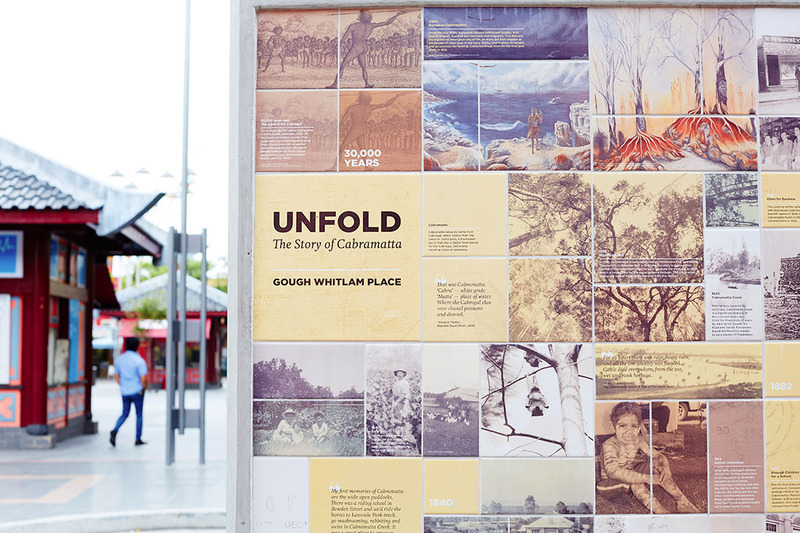 The story of Cabramatta reflects the traditional owners of the land, changing migration patterns to Australia and the many layers of local history. 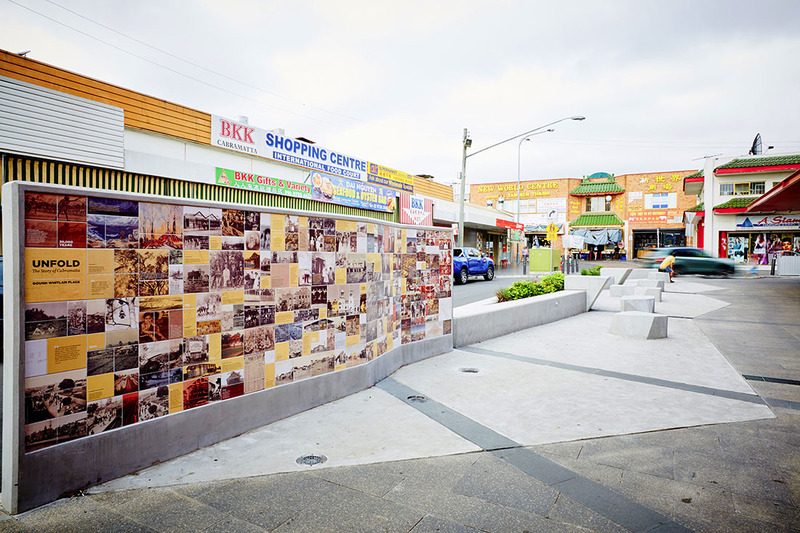 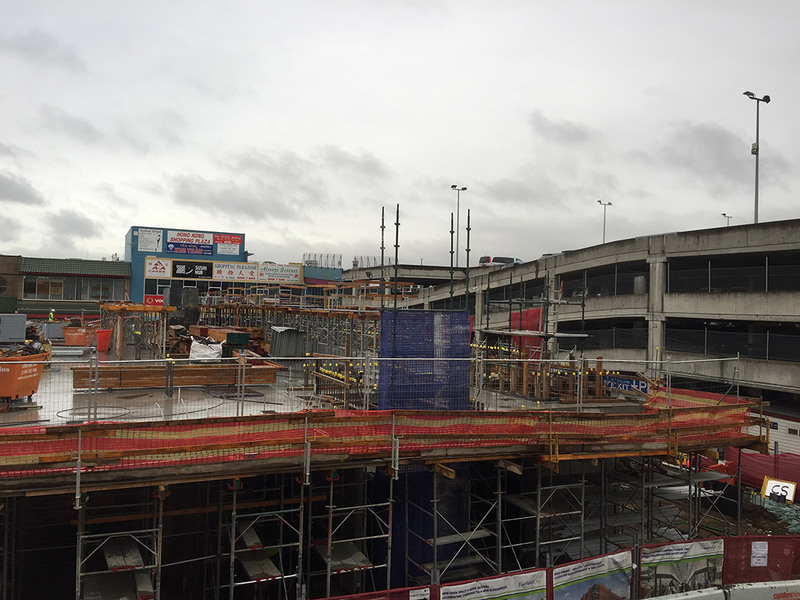 Today Cabramatta’s Central Business District (CBD) particularly reflects the arrival of refugees from Vietnam, Cambodia and Laos in the late 1970s. 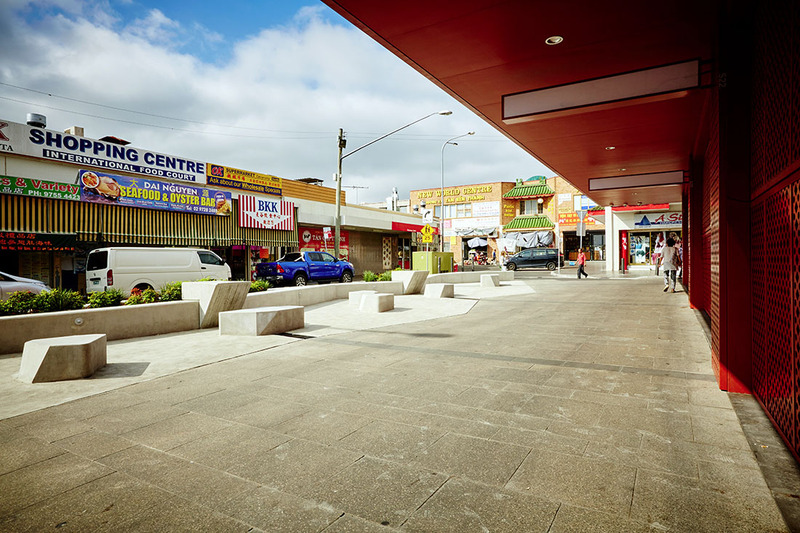 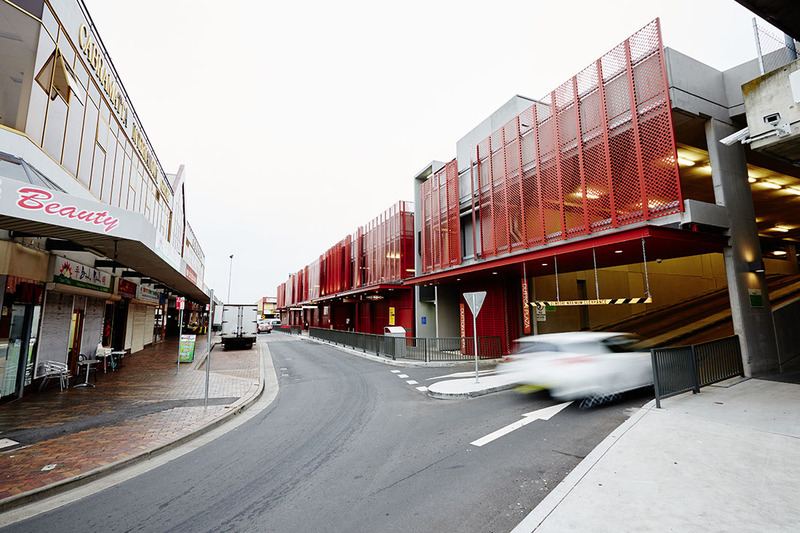 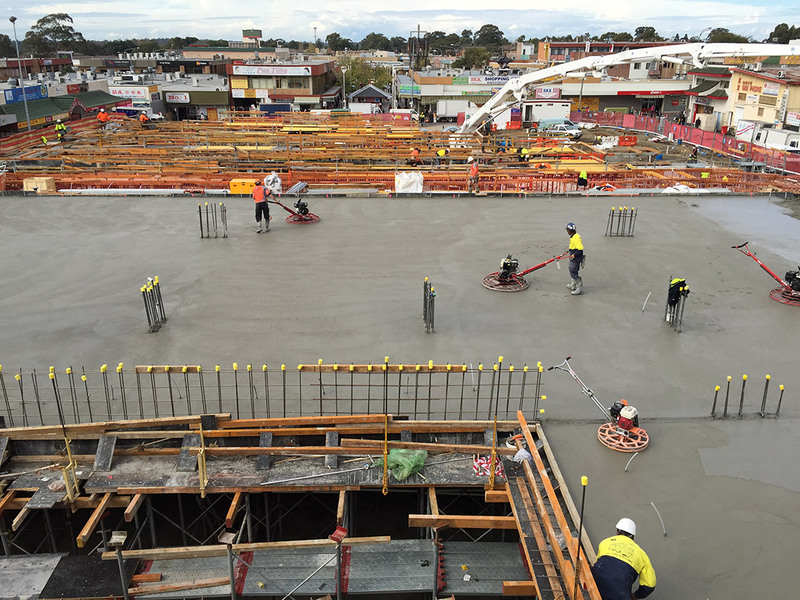 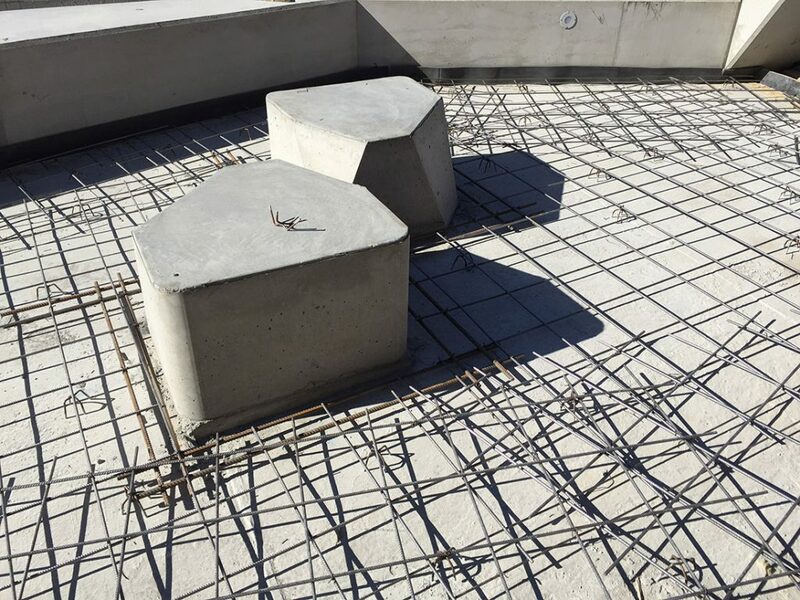 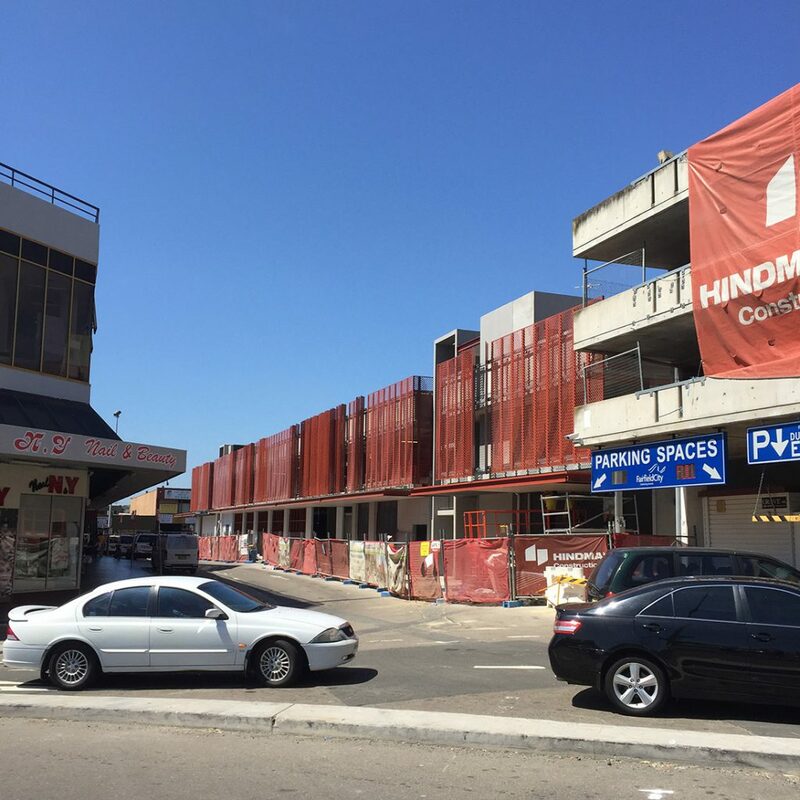 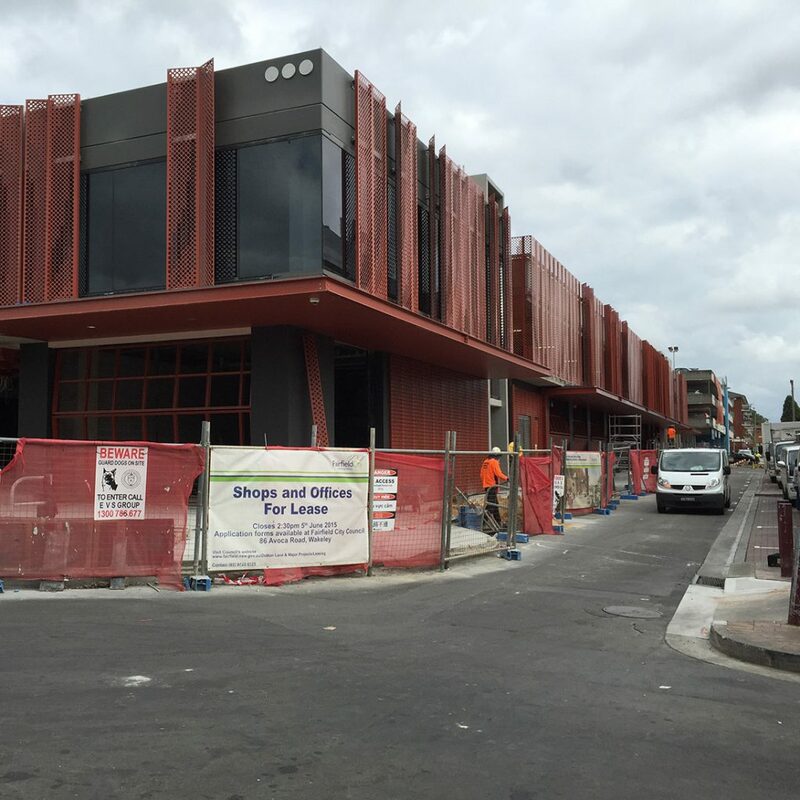 Among the 109 nationalities represented, Vietnamese-born Australians have been prominent in developing the vibrant commercial centre of the suburb. 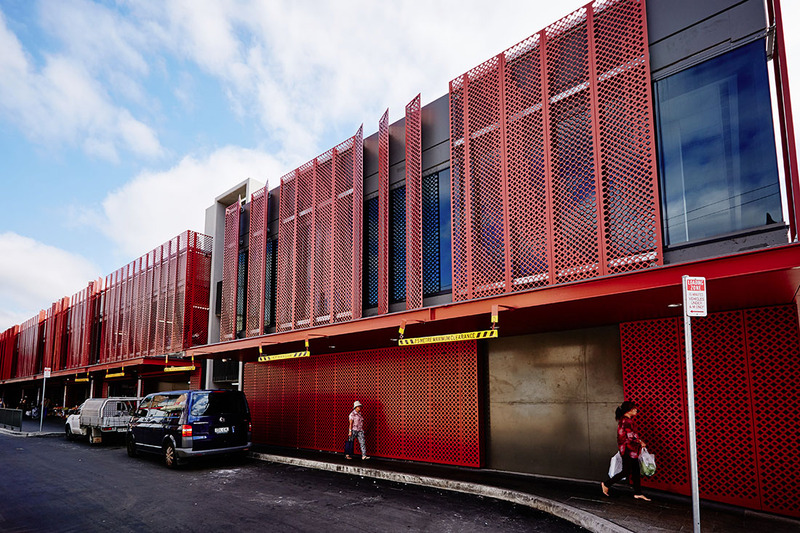 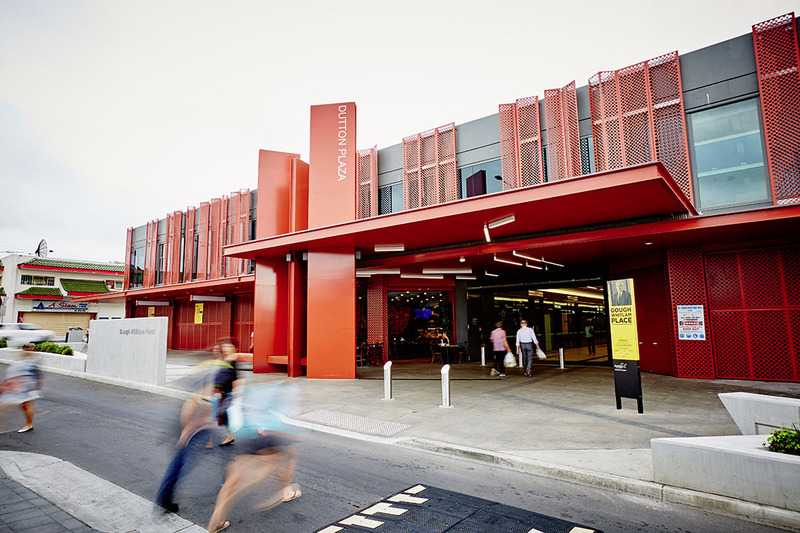 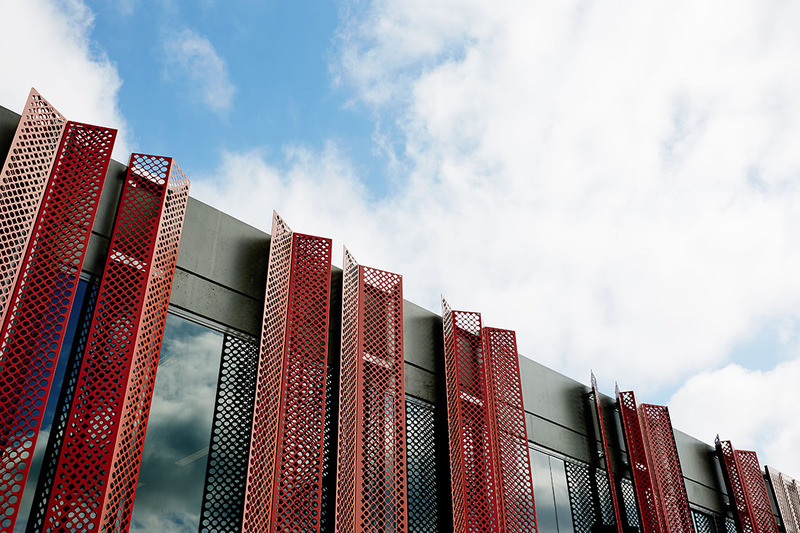 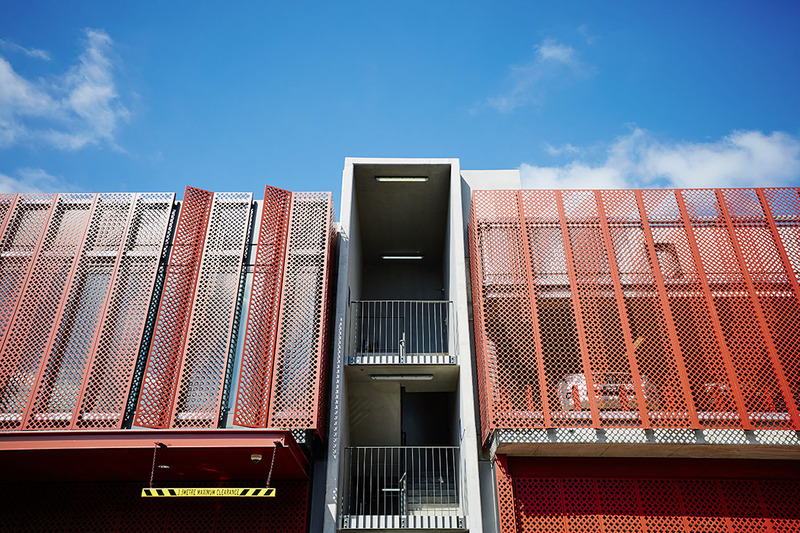 One of the many growing tourist attractions in Cabramatta is the abundance of fabrics, using fabrics as an inspiration, this artwork draws on many similar visual influences including Australian desert sand/rock formations, ocean waves and the drapery of the fabrics to create a flowing design that wraps the building. Fabrics can take on different meanings depending on their usage, for example; nationalistic flags, traditional costumes, clothing and uniforms. 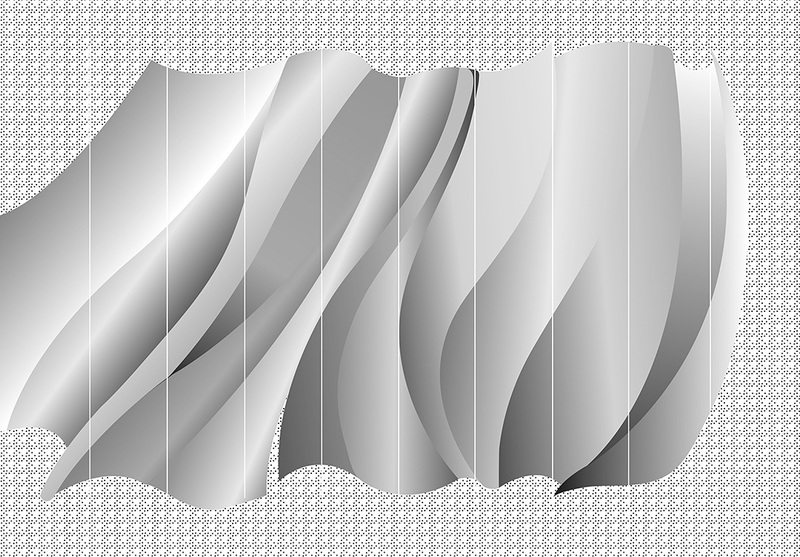 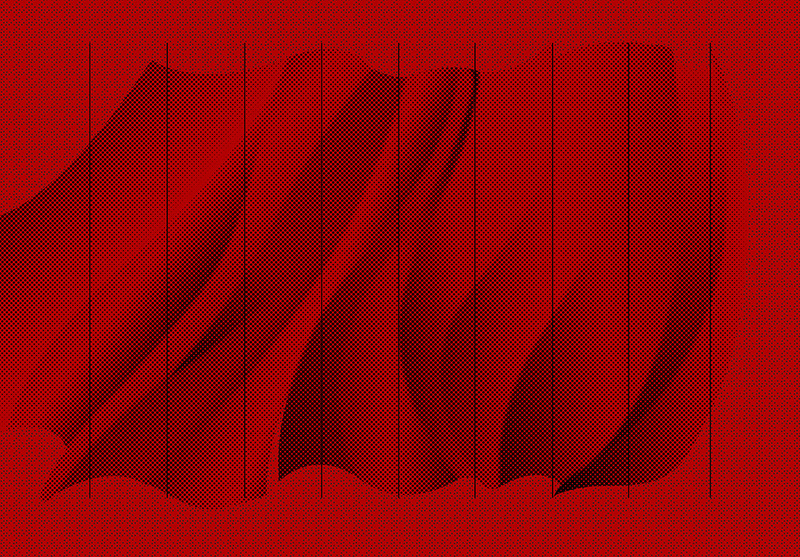 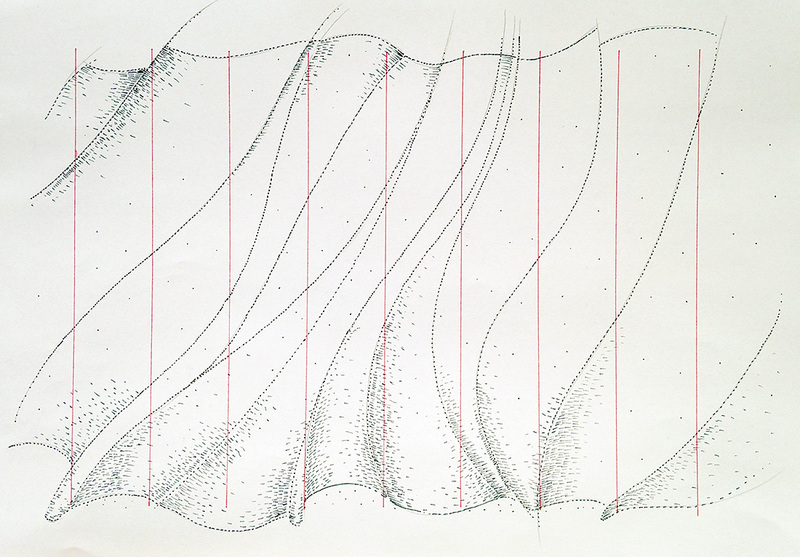 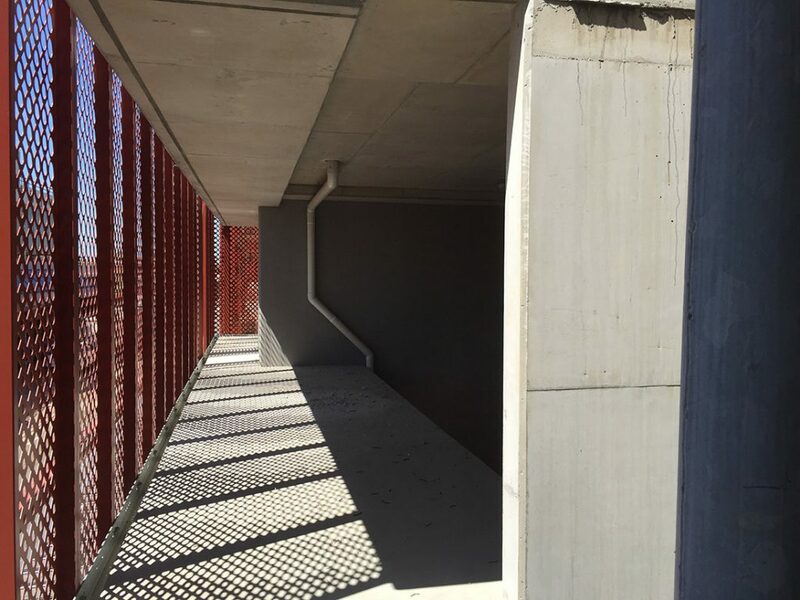 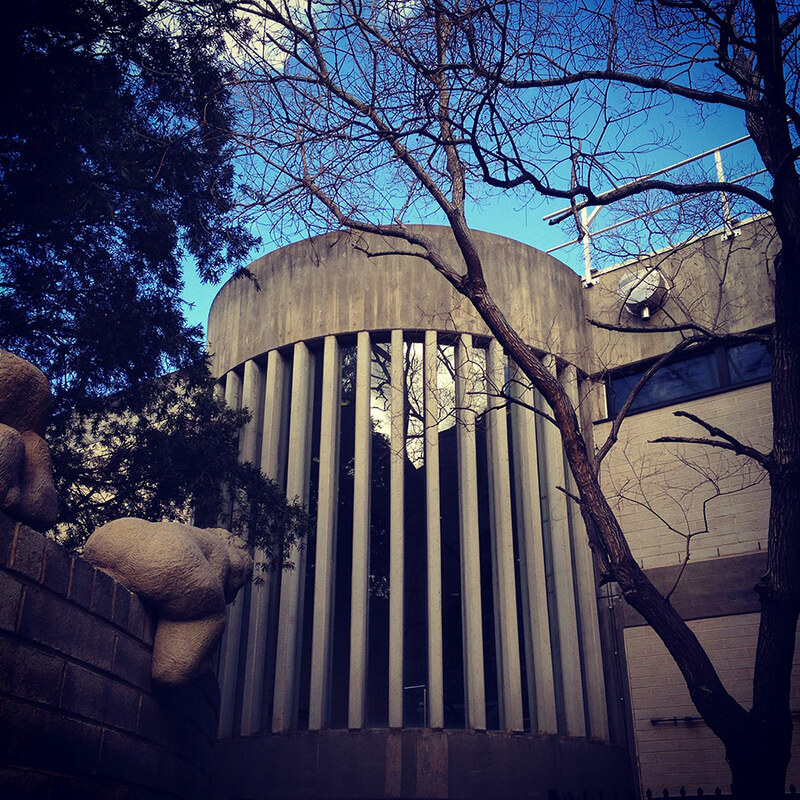 Using these meanings and visual vocabulary, Fabric drapes the building as a protective covering (screens) and a visual beacon (red colour and flowing lines). 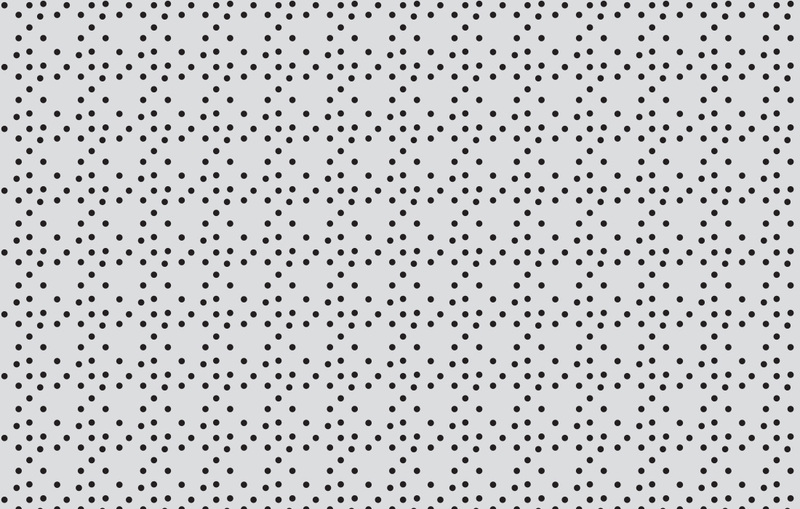 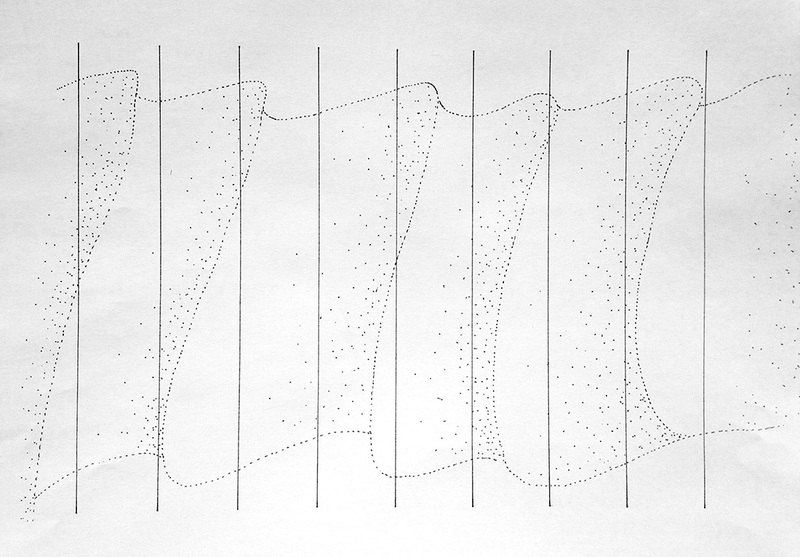 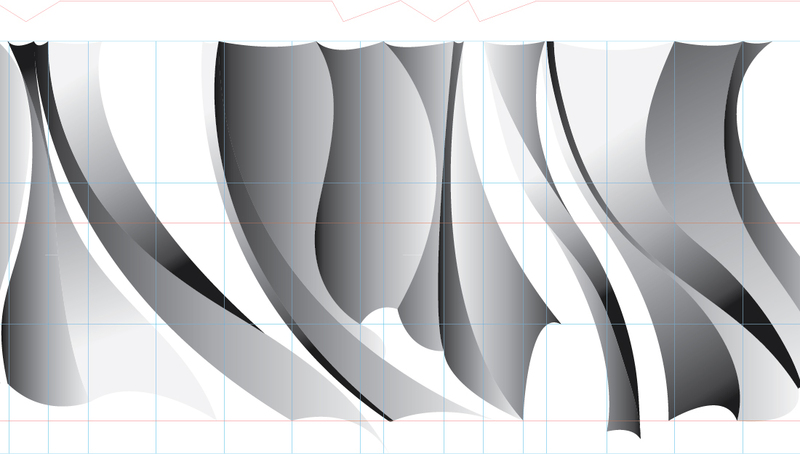 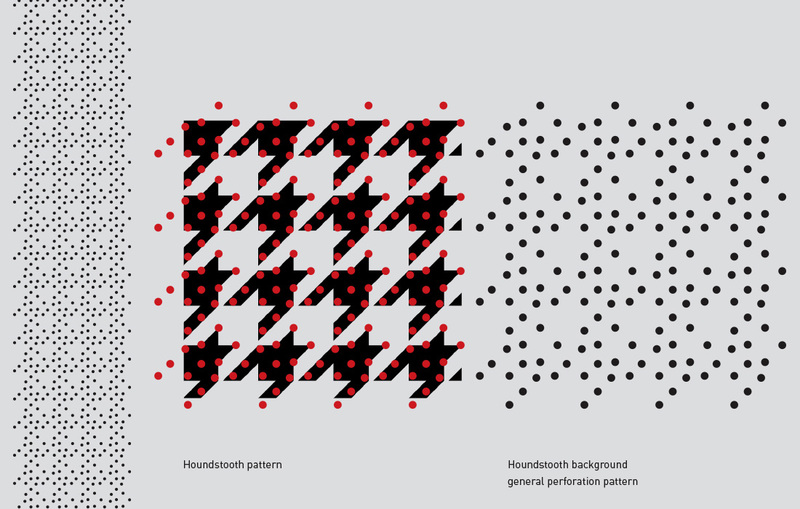 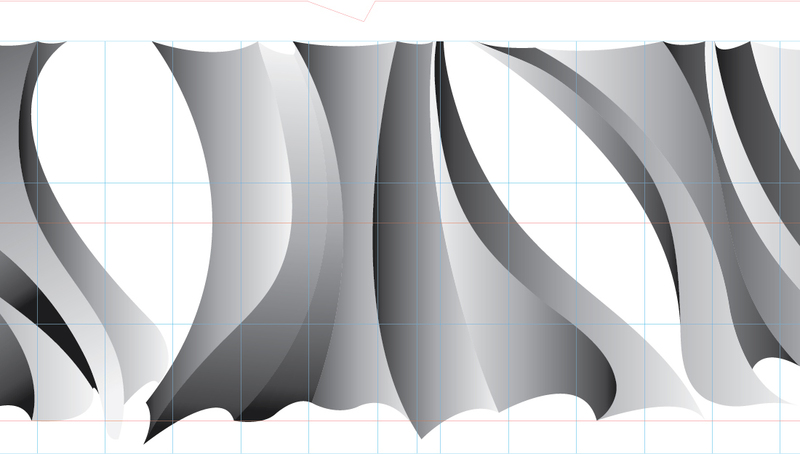 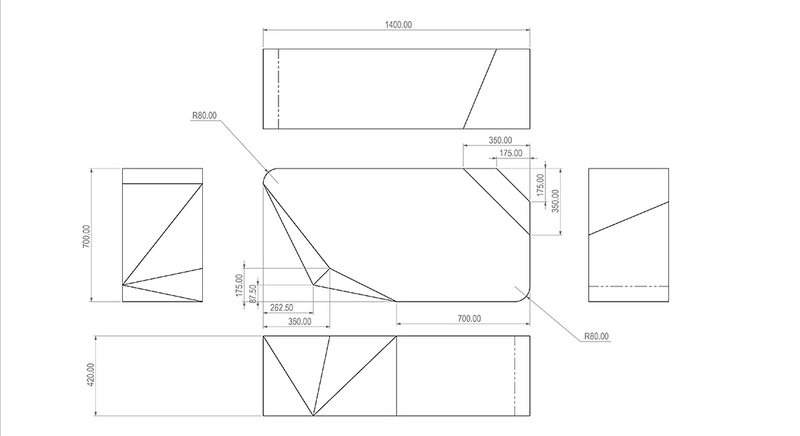 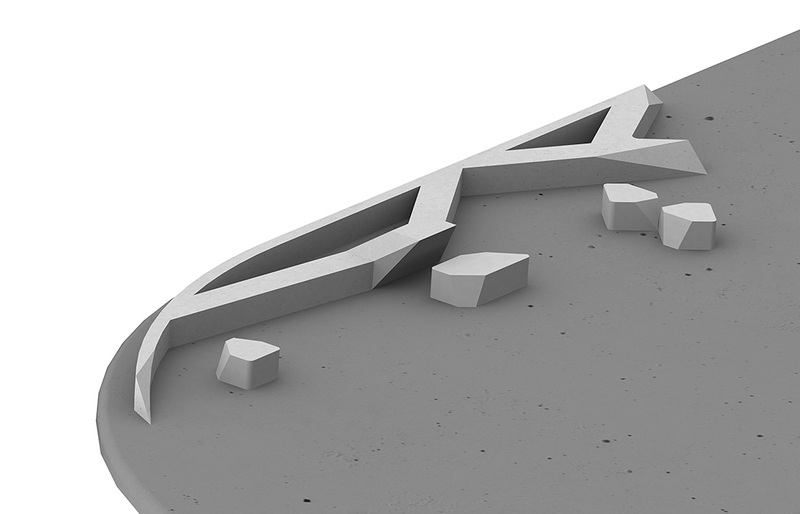 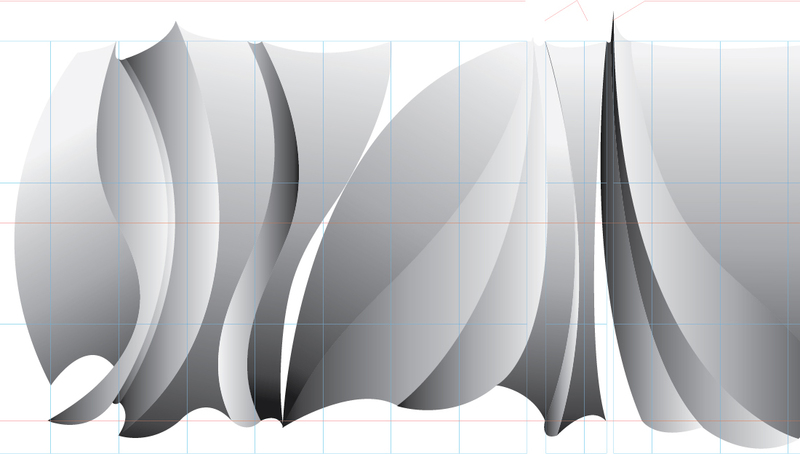 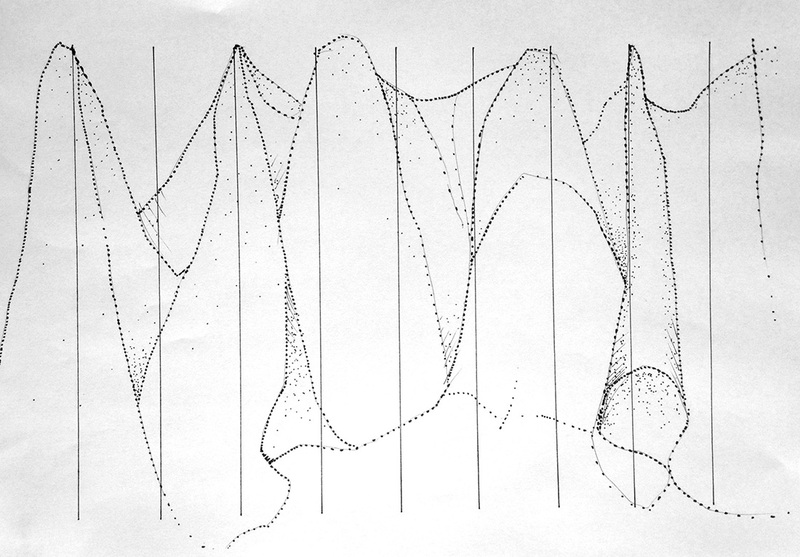 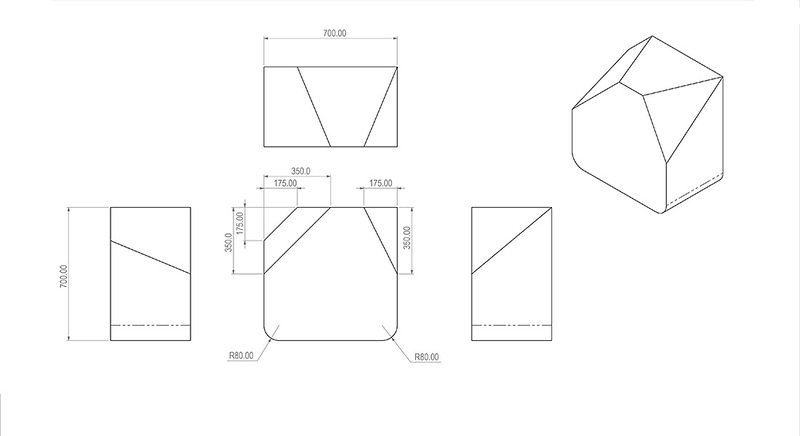 Fabric will in small sections be open to reveal the graphic representation of an iconic hounds tooth fashion pattern. 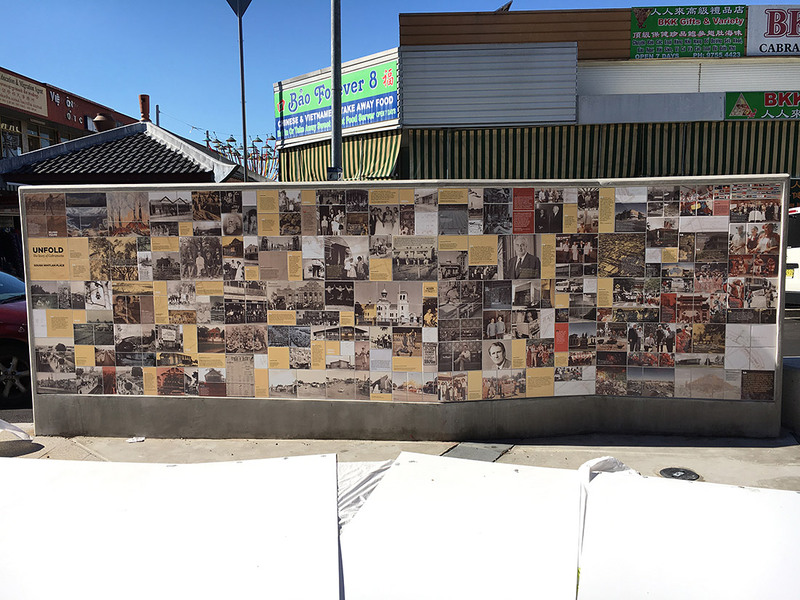 #cabranow was an Instagram project to collect current photos of the Cabramatta community for inclusion on the history wall. 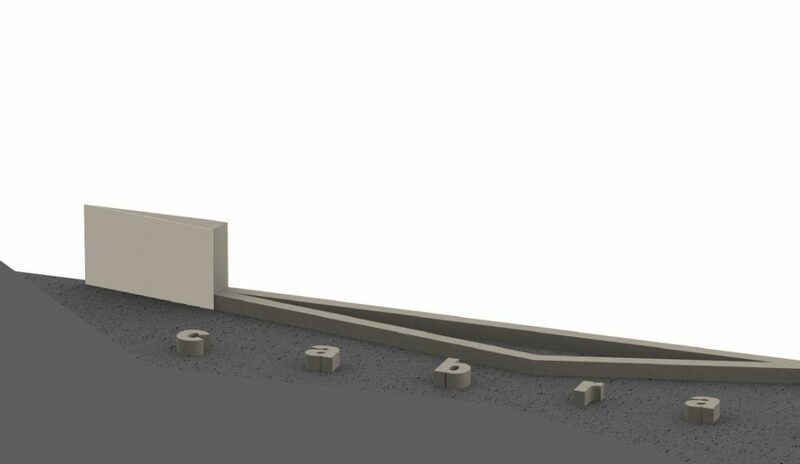 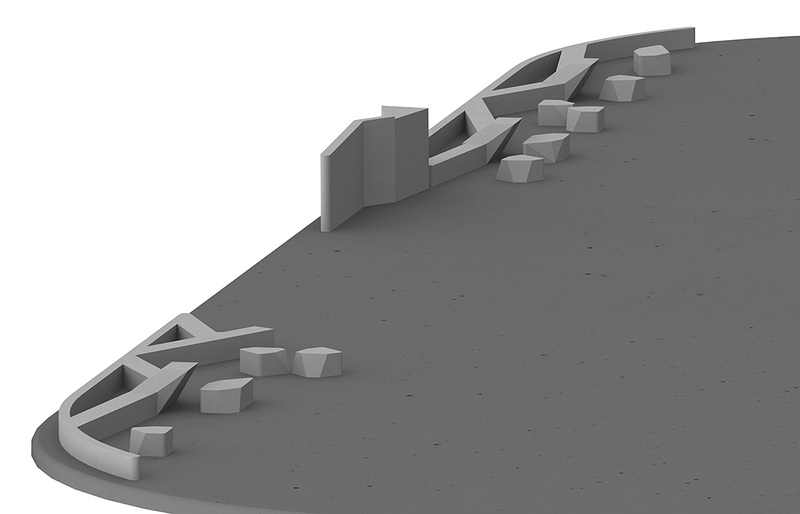 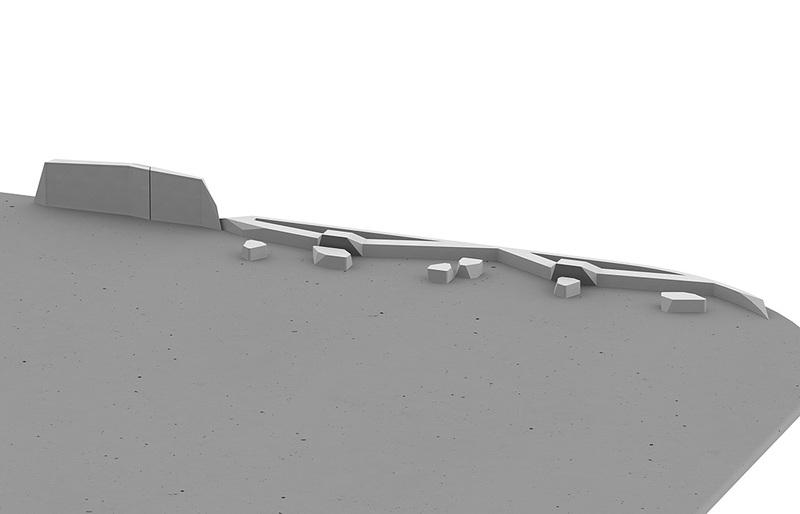 Due to space limitations, this portion of the wall was not able to be implemented. 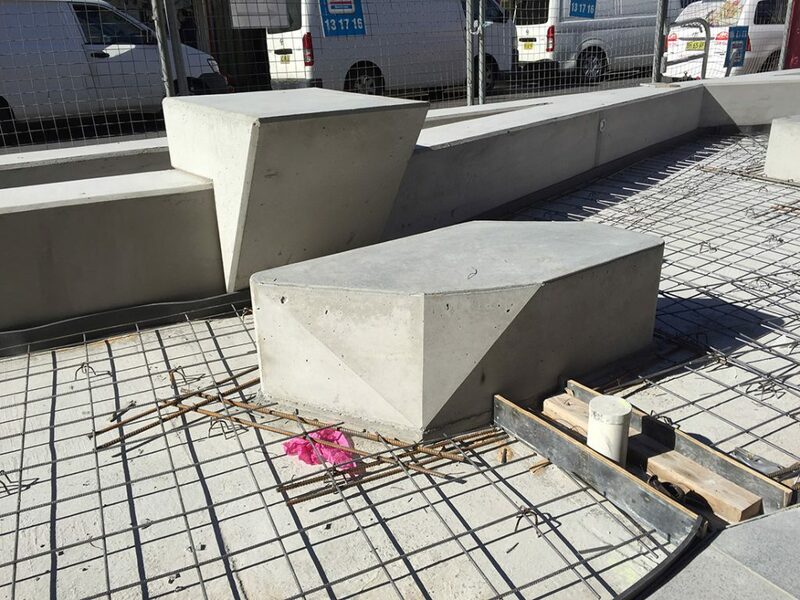 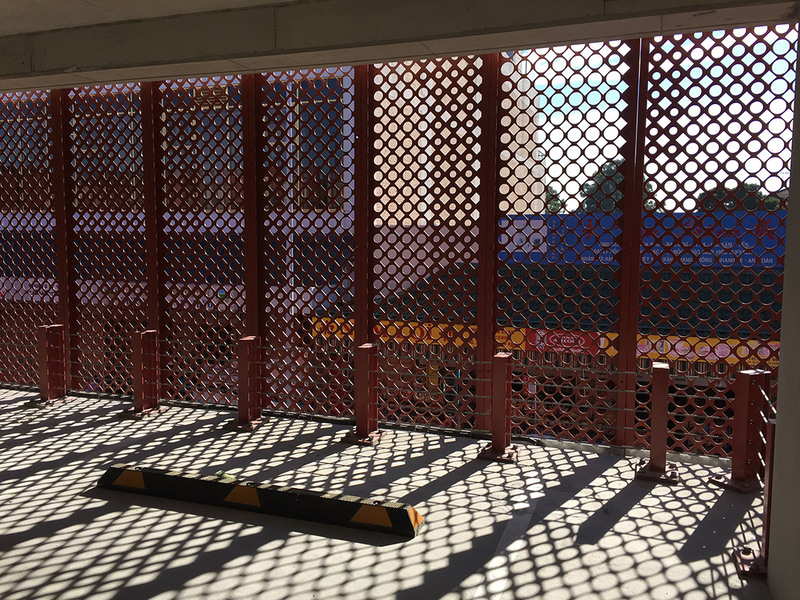 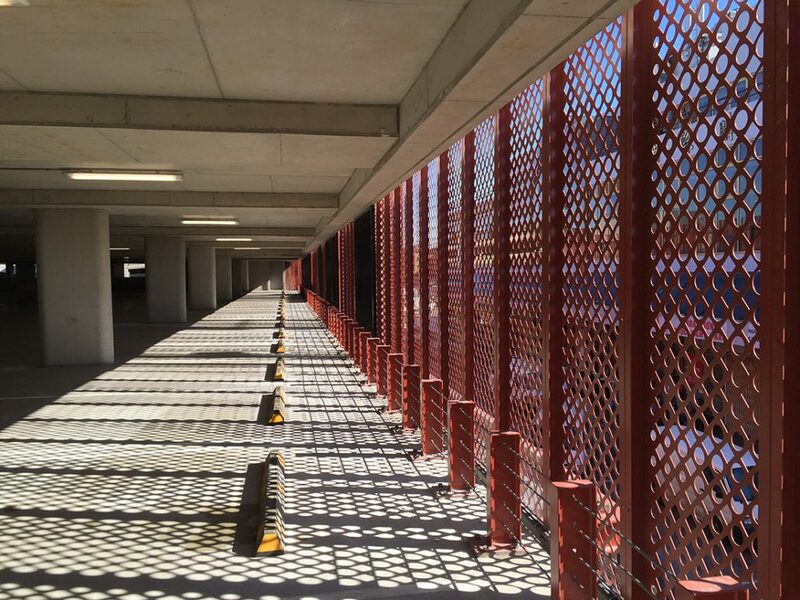 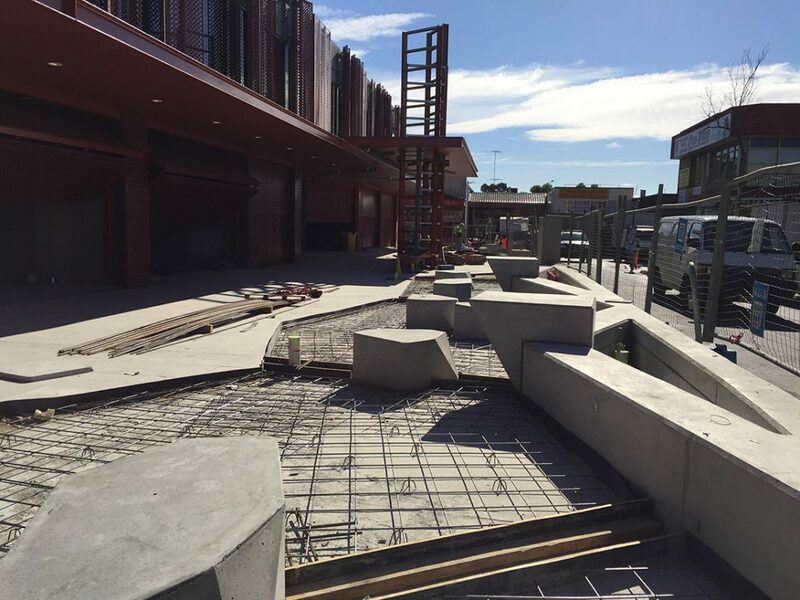 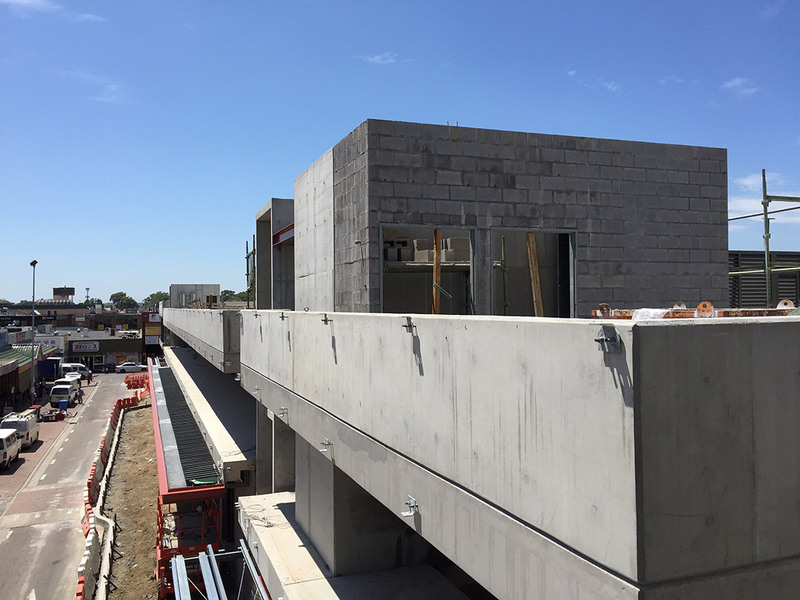 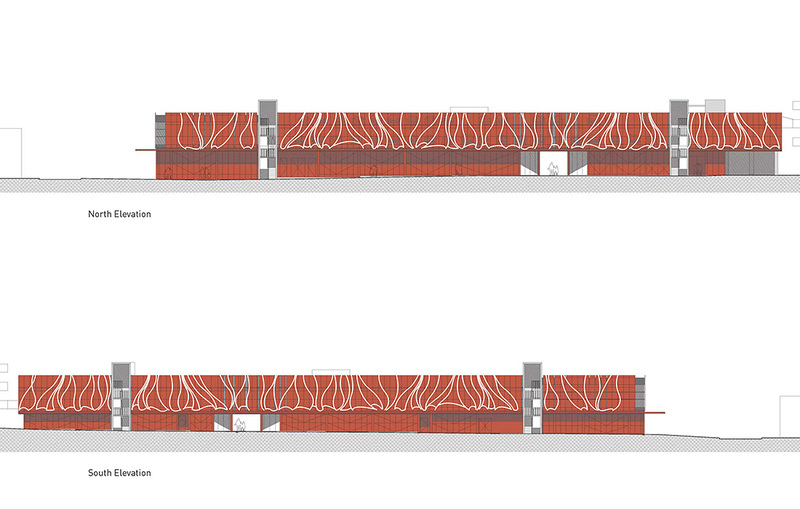 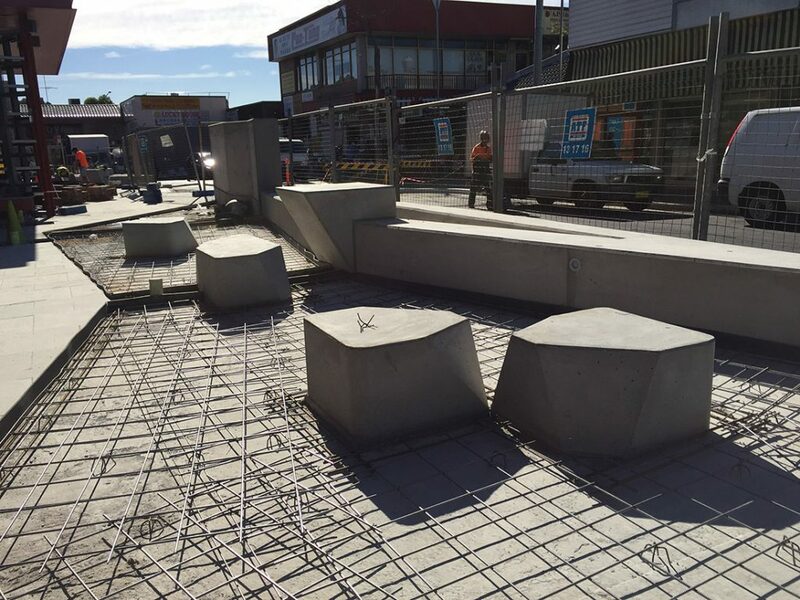 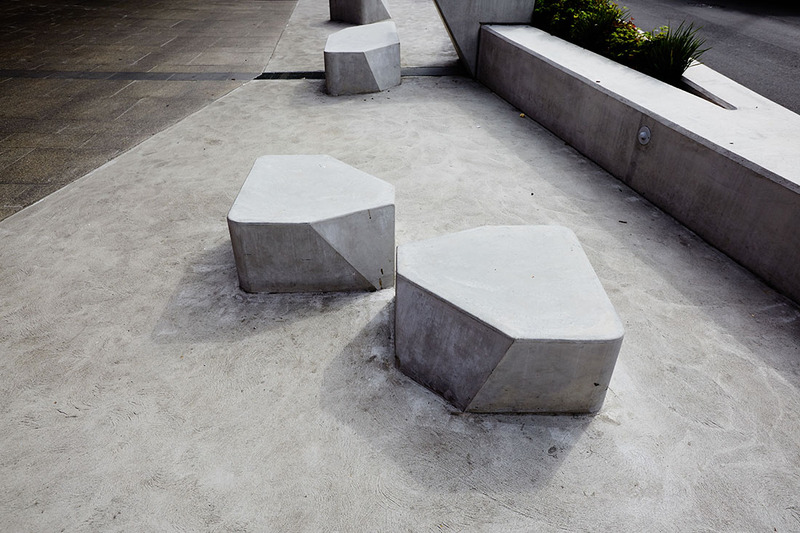 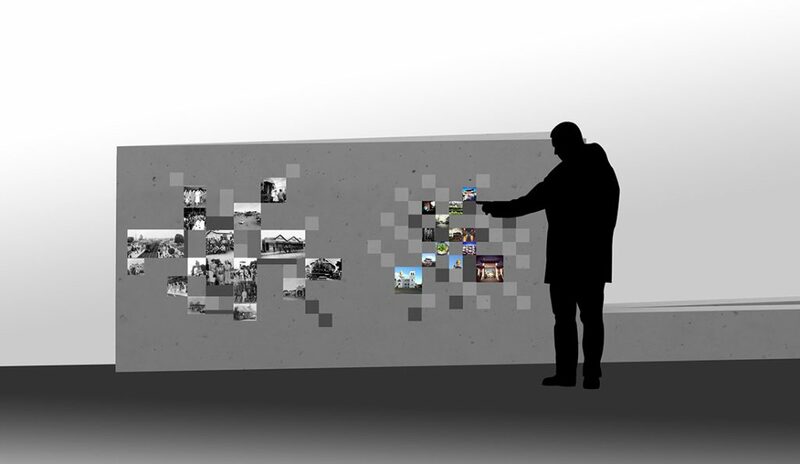 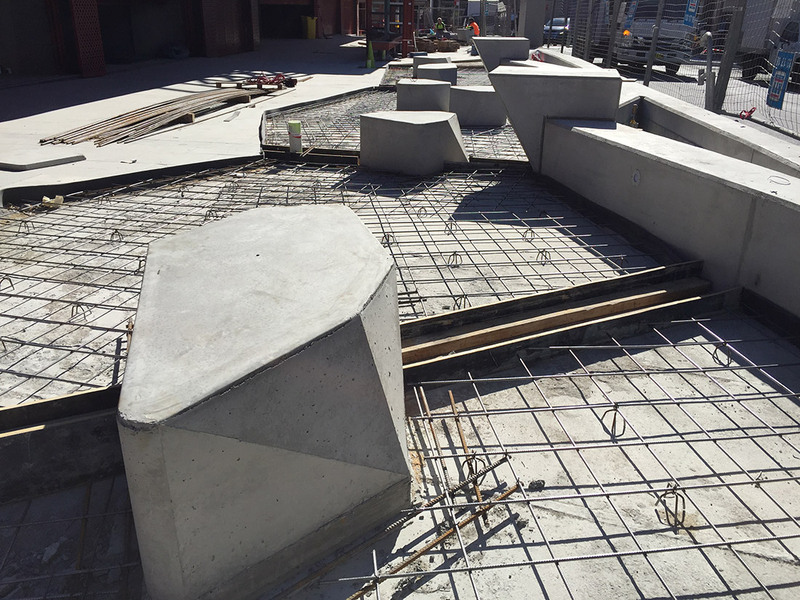 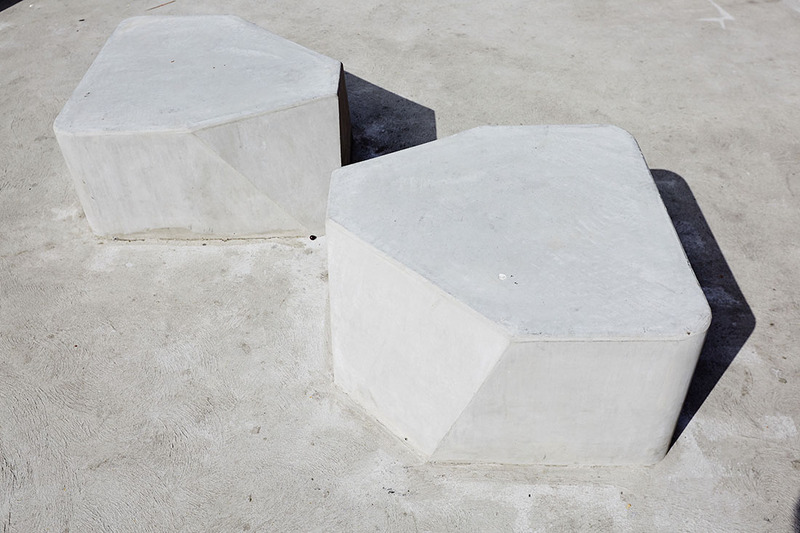 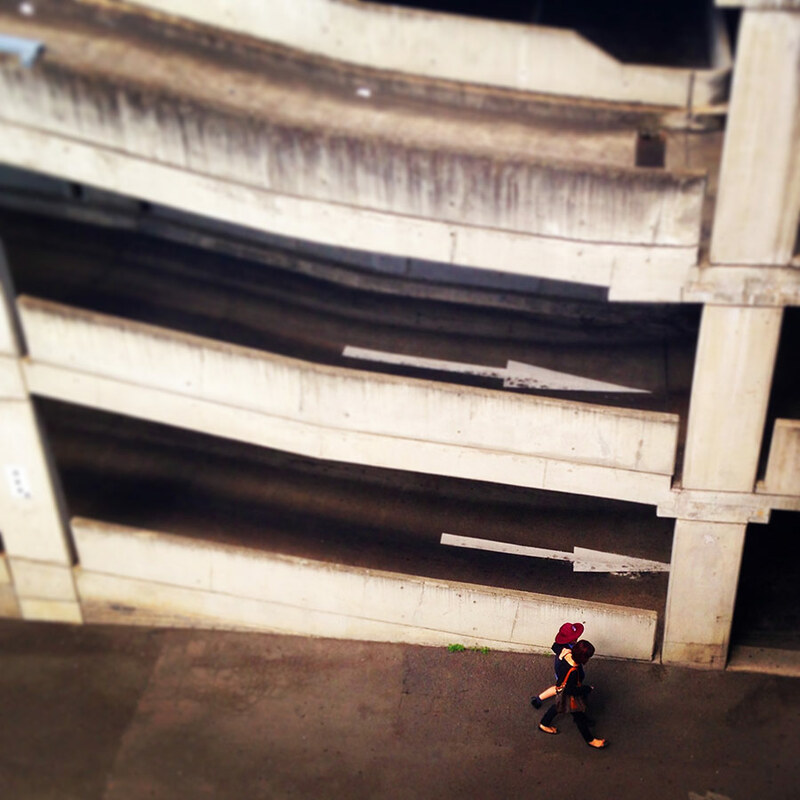 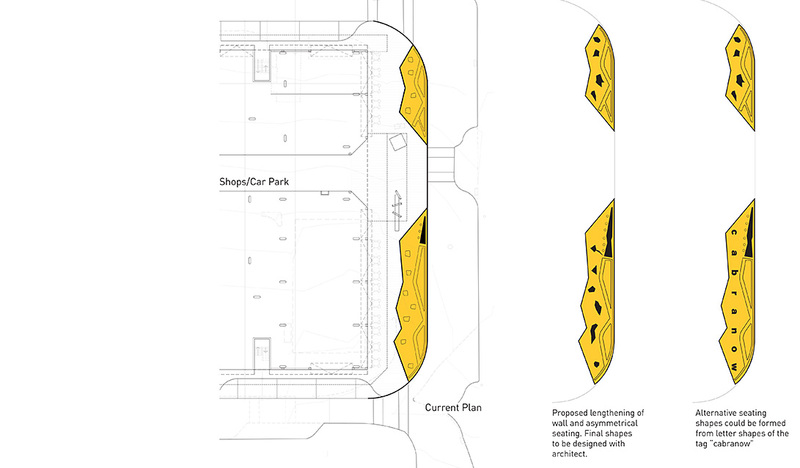 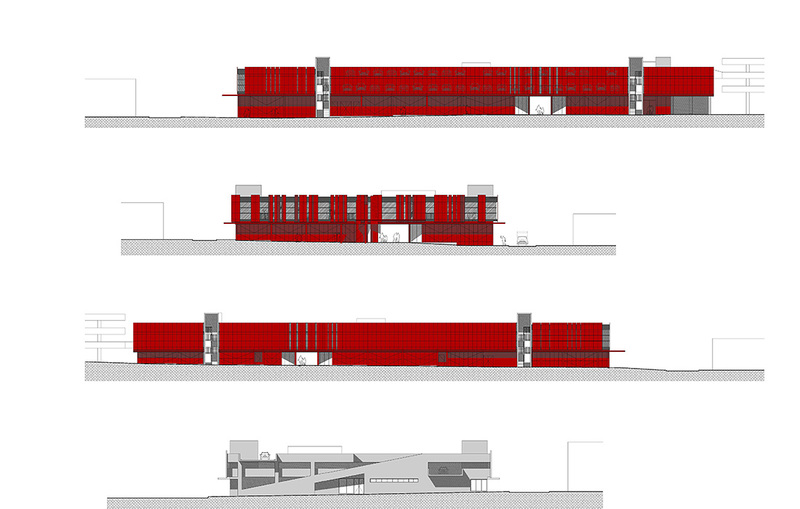 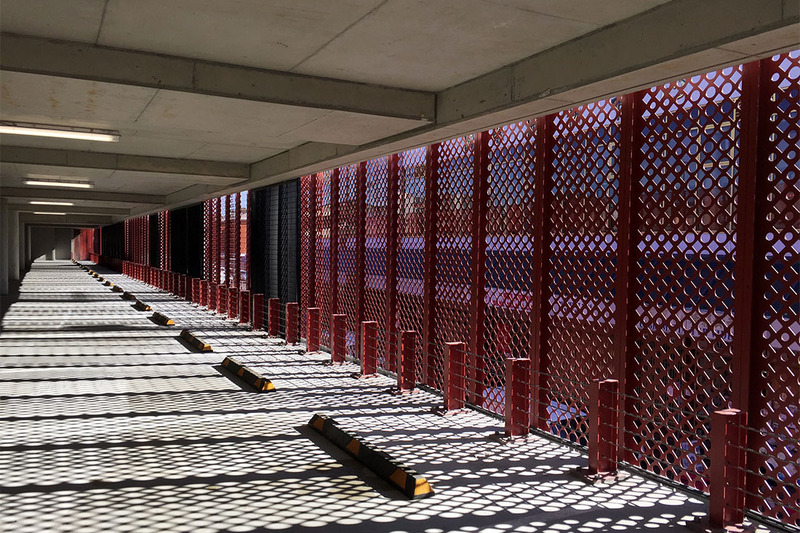 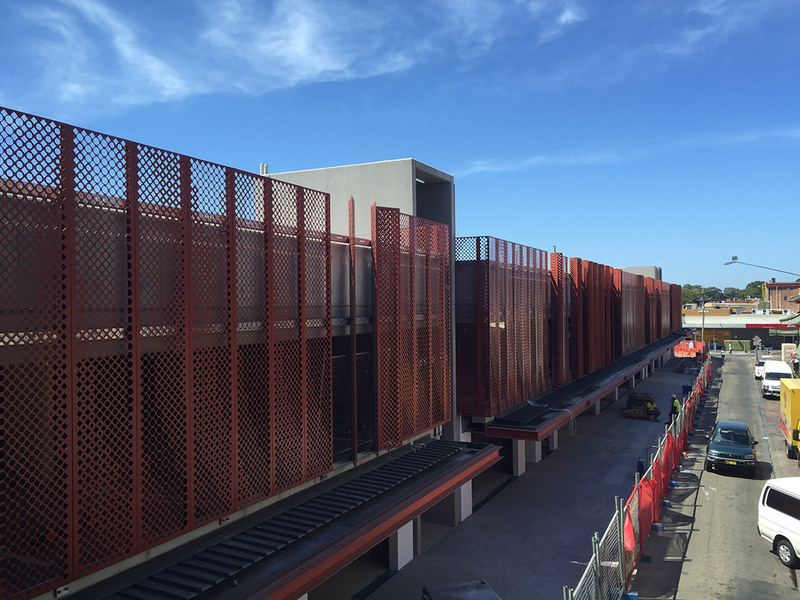 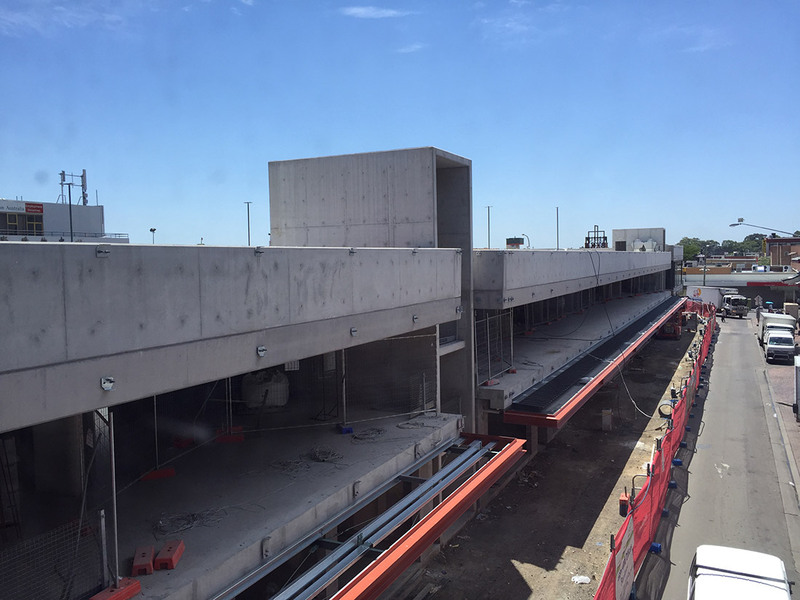 Car park façades, 200 piece printed tile History Wall, concrete seating and tables. 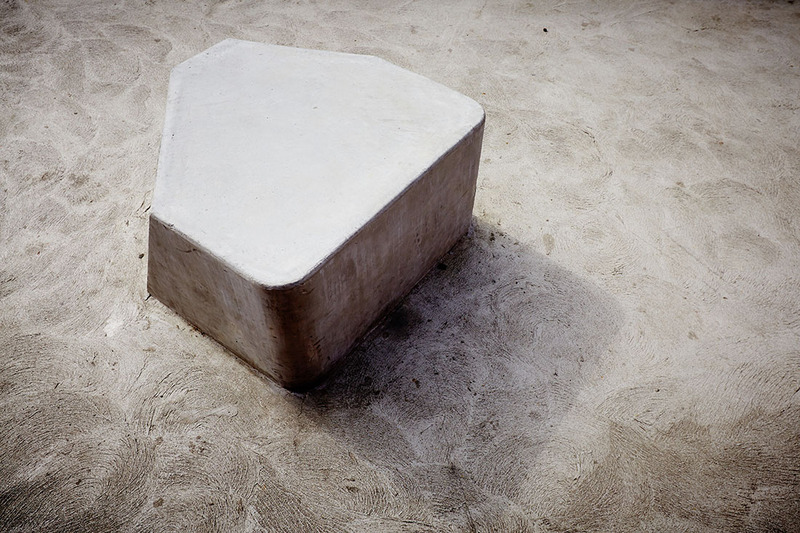 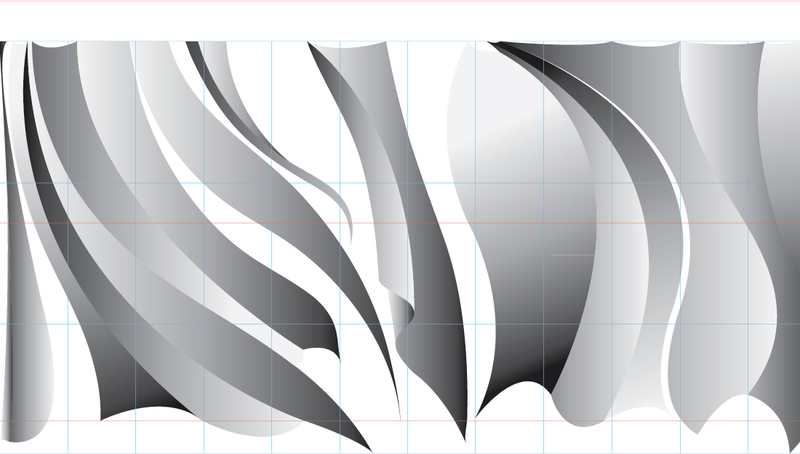 © 2019 Kevin Vo | Graphic Artist. 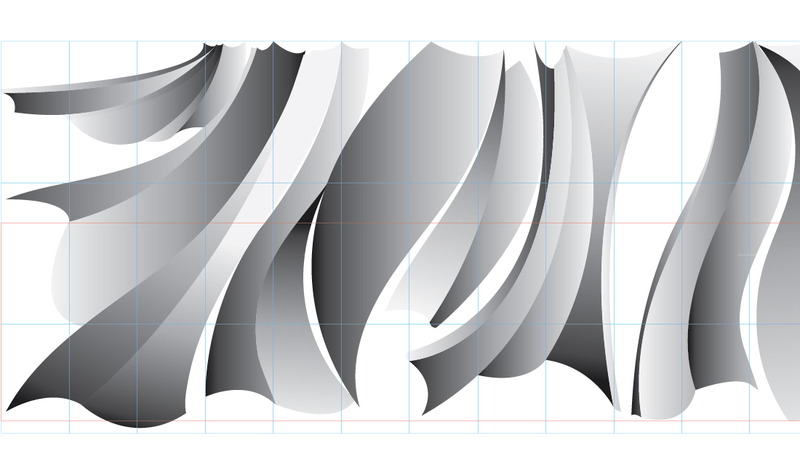 Art has always been my first love creatively, graphic design is a way to make a living. 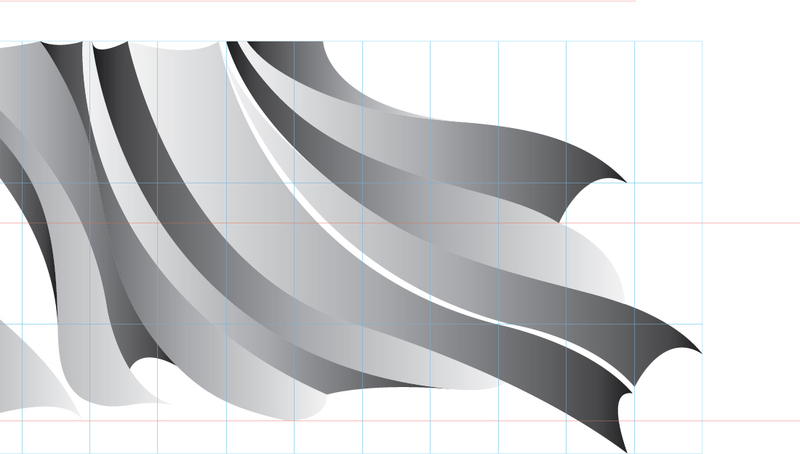 Combining the two seems like a perfect match for who I am, a Graphic Artist.